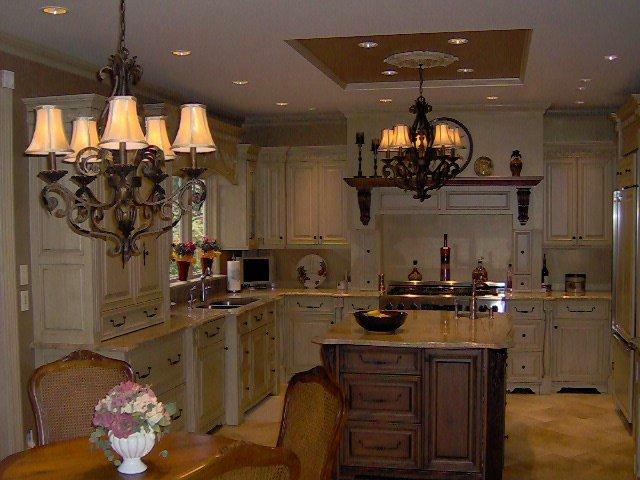 This Gallery is a compilation of some pictures we have made available on this website. 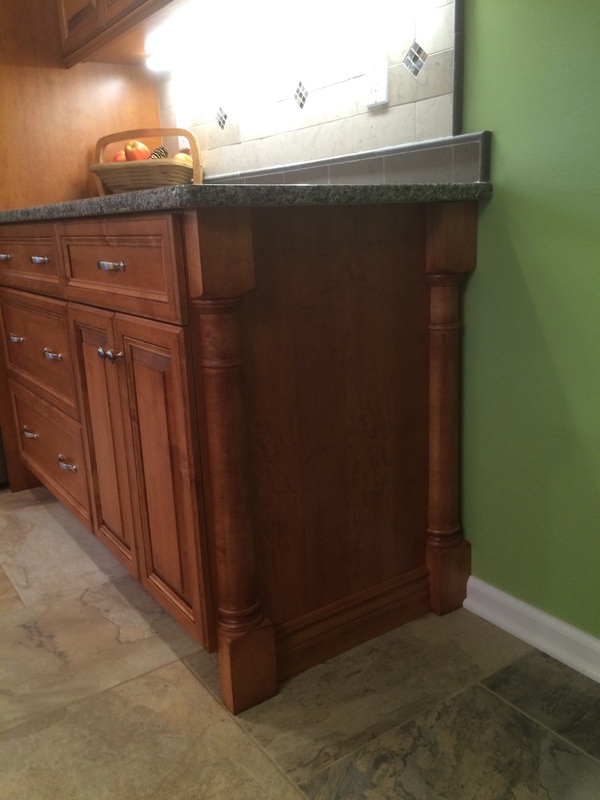 All work has been exclusively made by Kitchen Crafters Plus, unless otherwise noted. 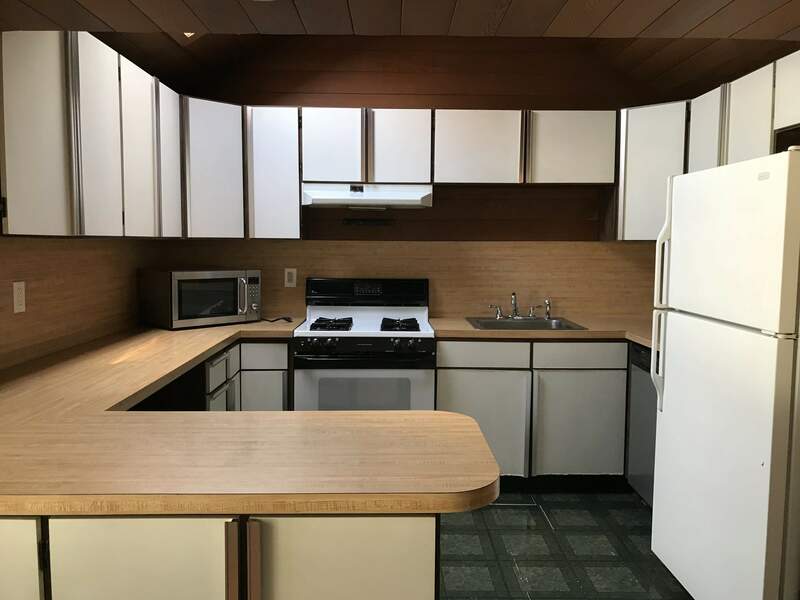 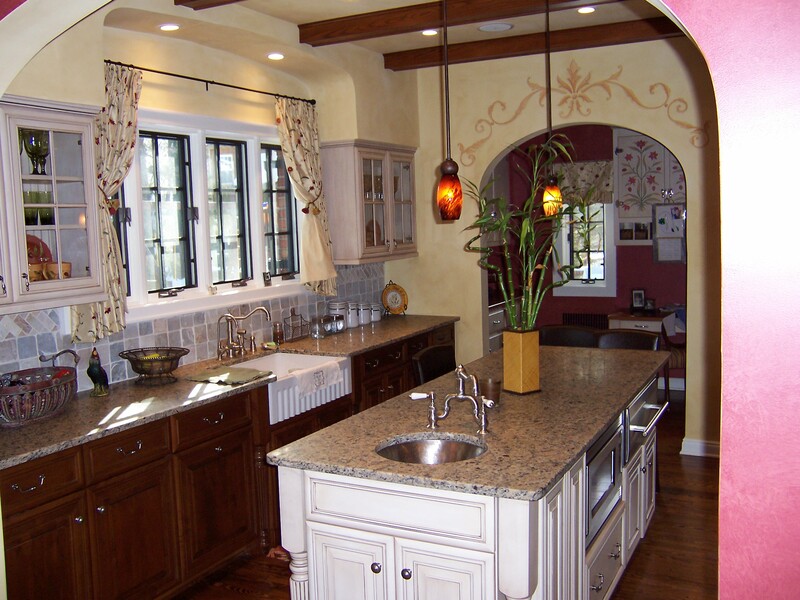 See specific menu item for Kitchen Gallery, Other Rooms, Bathroom Gallery, and Commercial Work or select by pressing the highlighted item here. 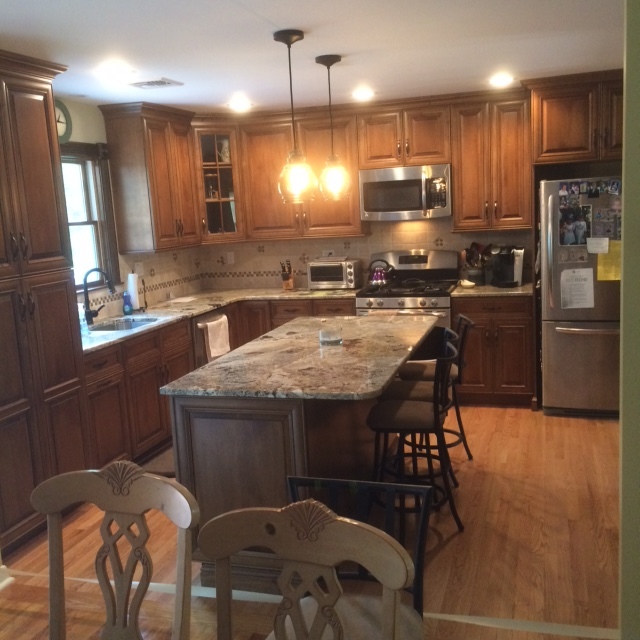 Fabuwood Hallmark Pecan Cabinets Dupont Toasted Almond Quarts Counters, Satin Nickel Knobs and Vinyl Tile Floor. 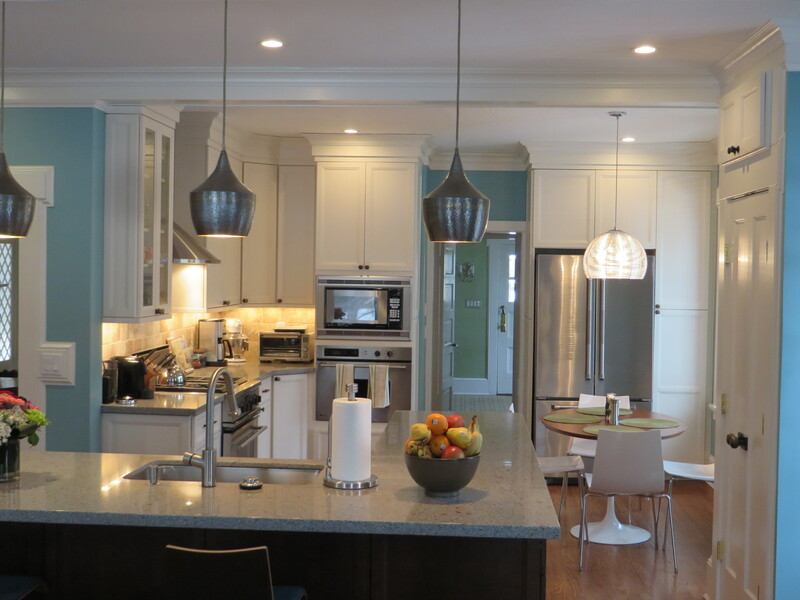 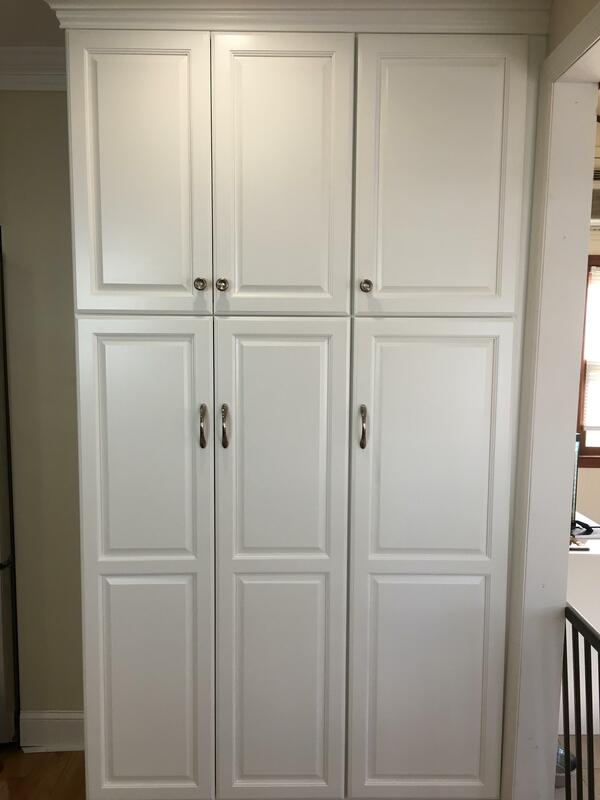 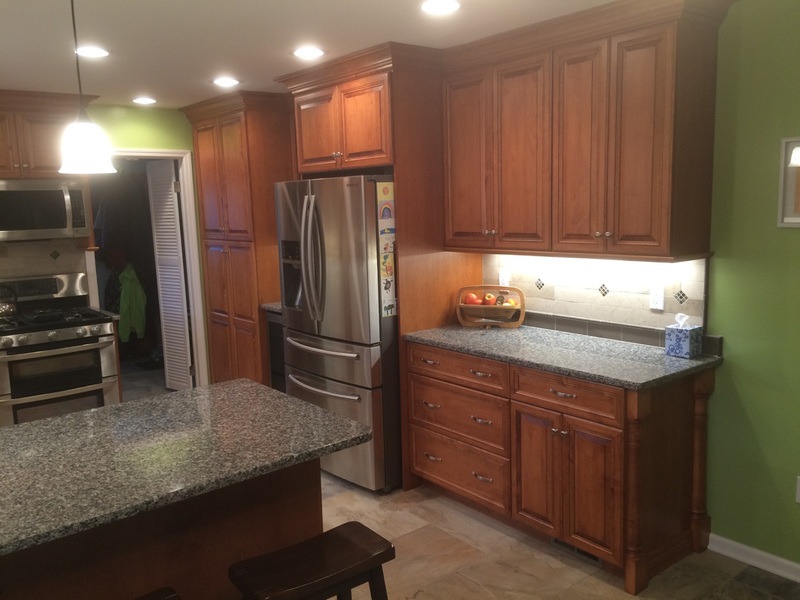 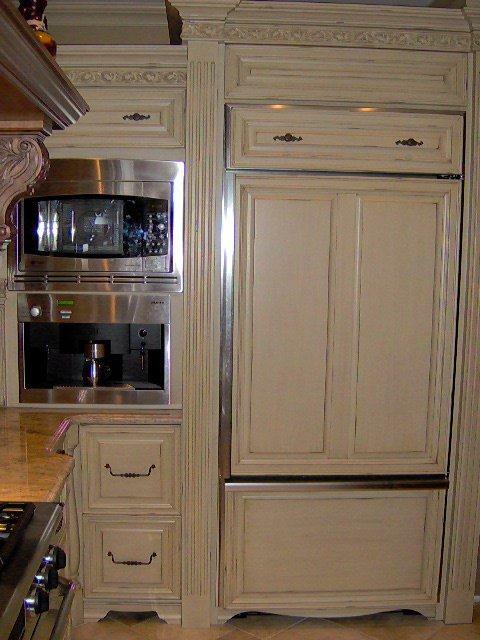 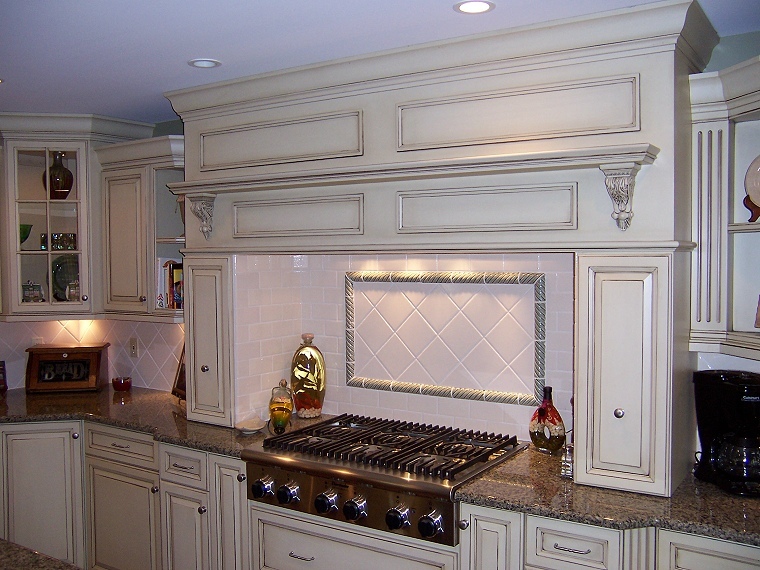 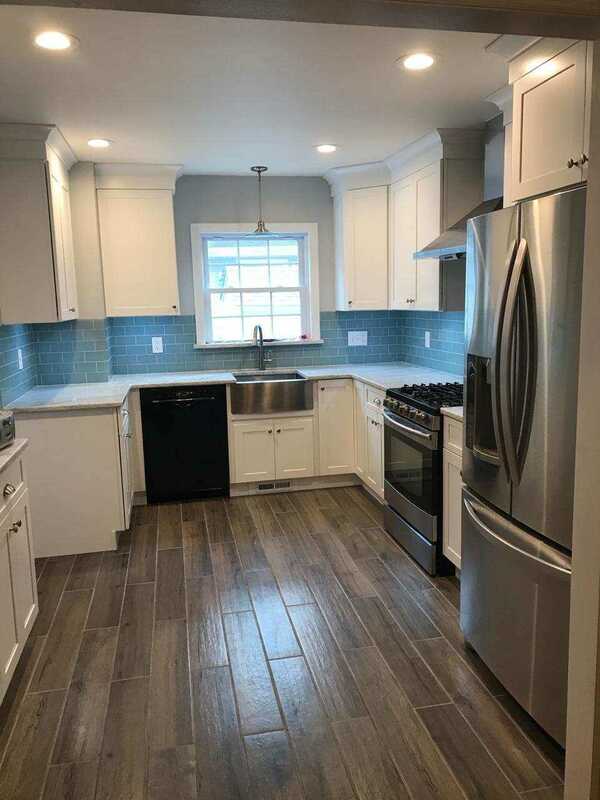 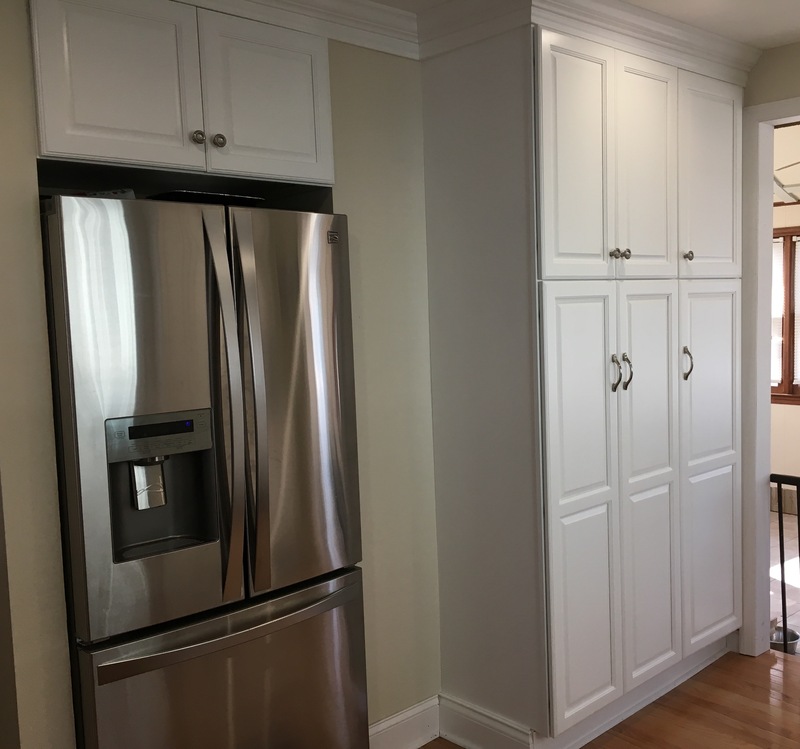 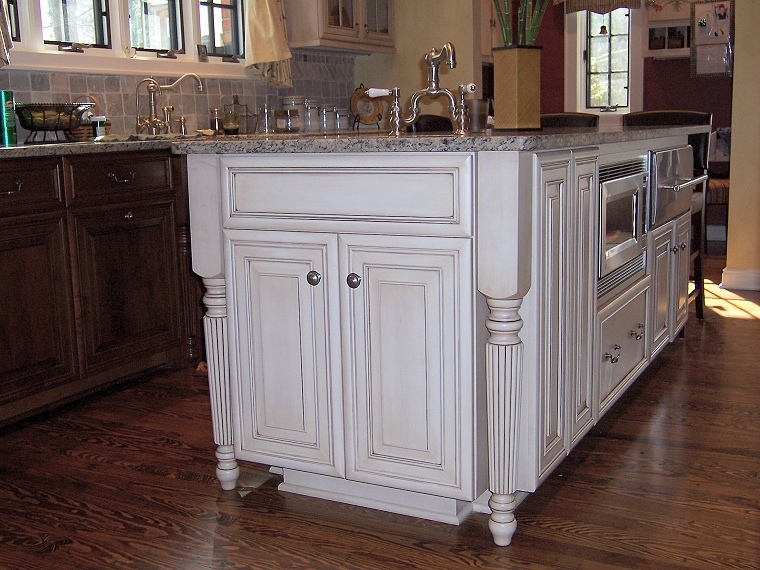 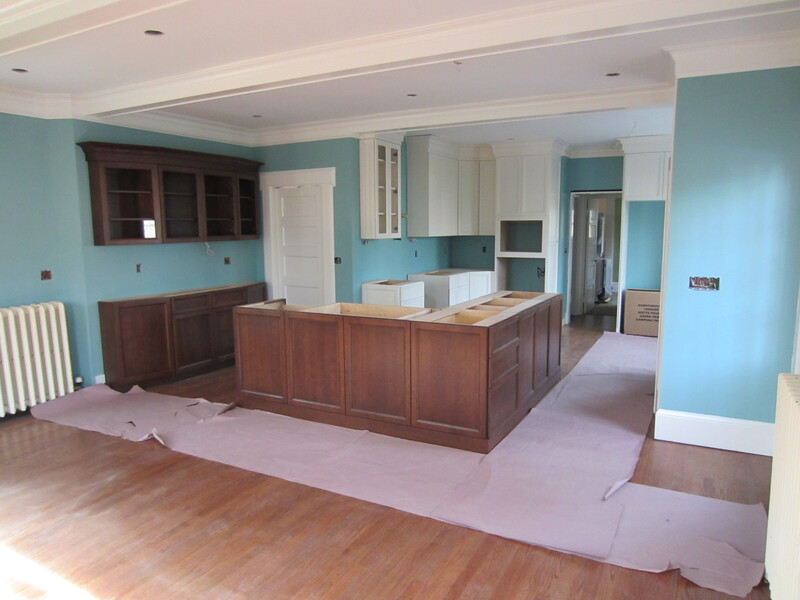 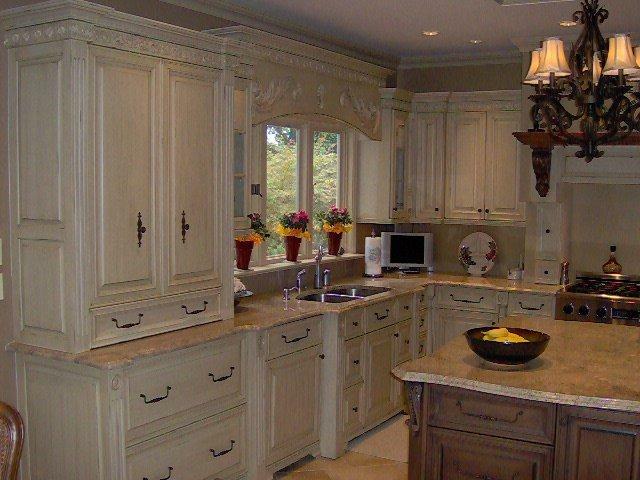 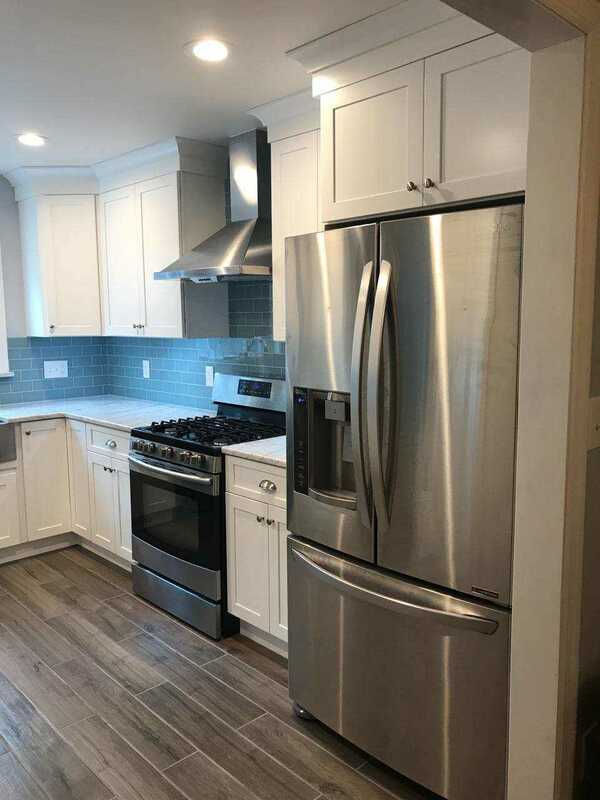 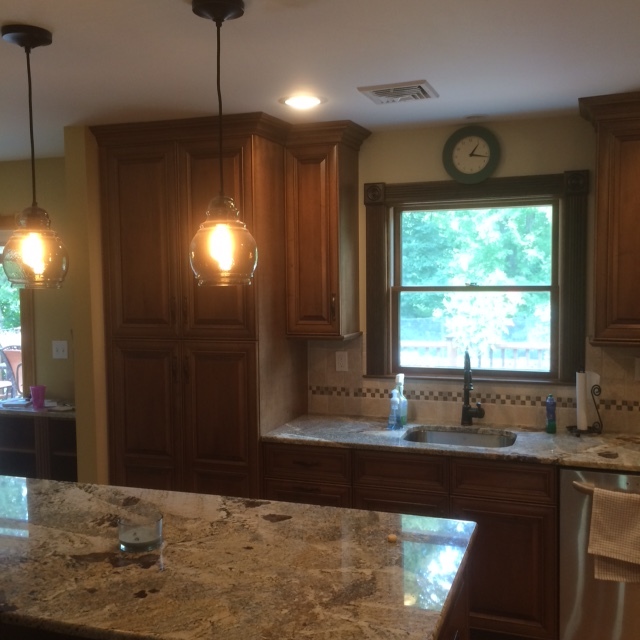 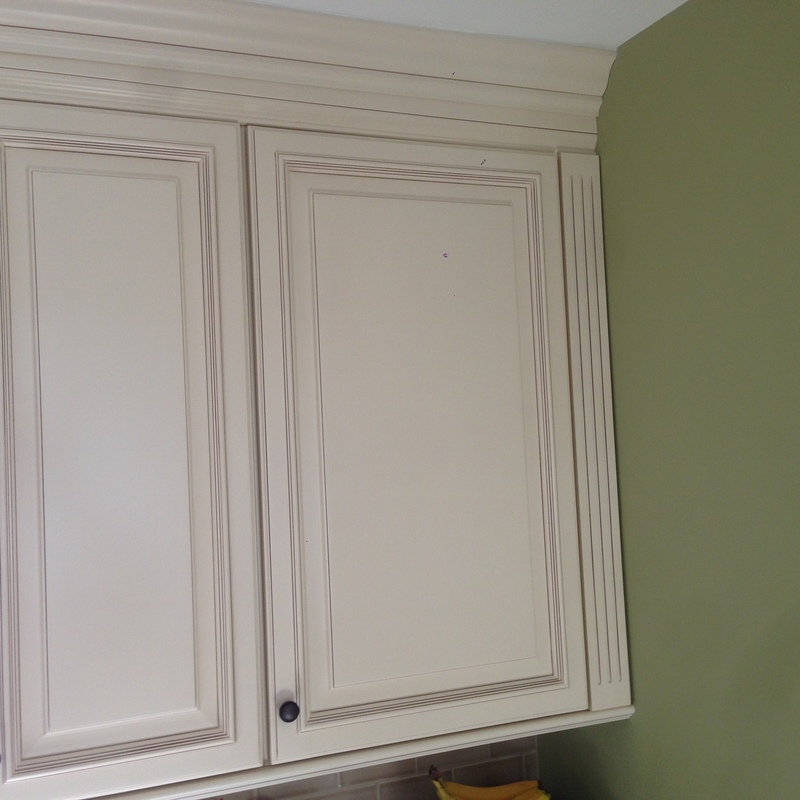 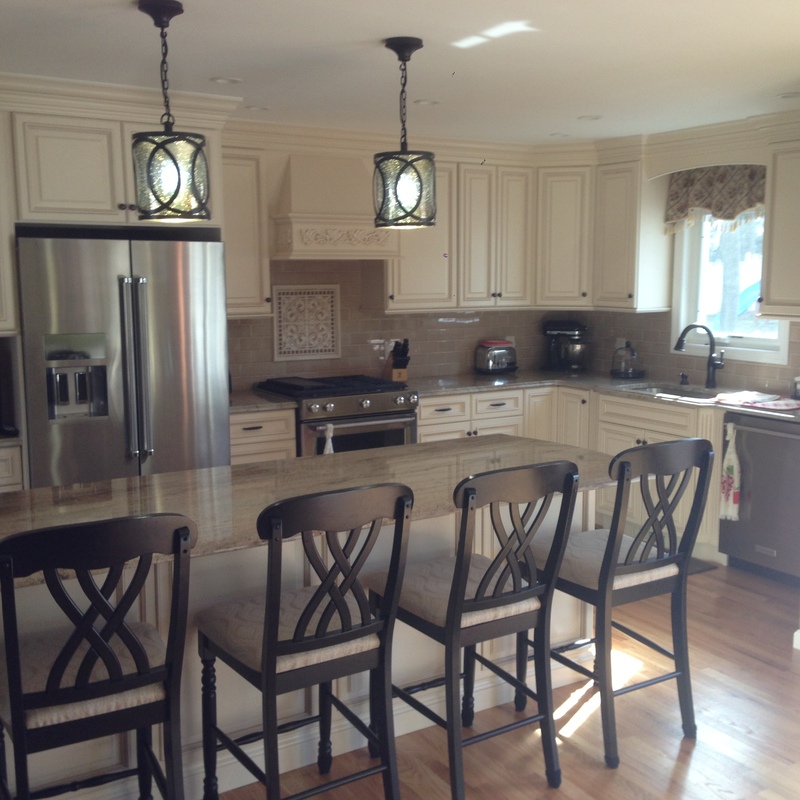 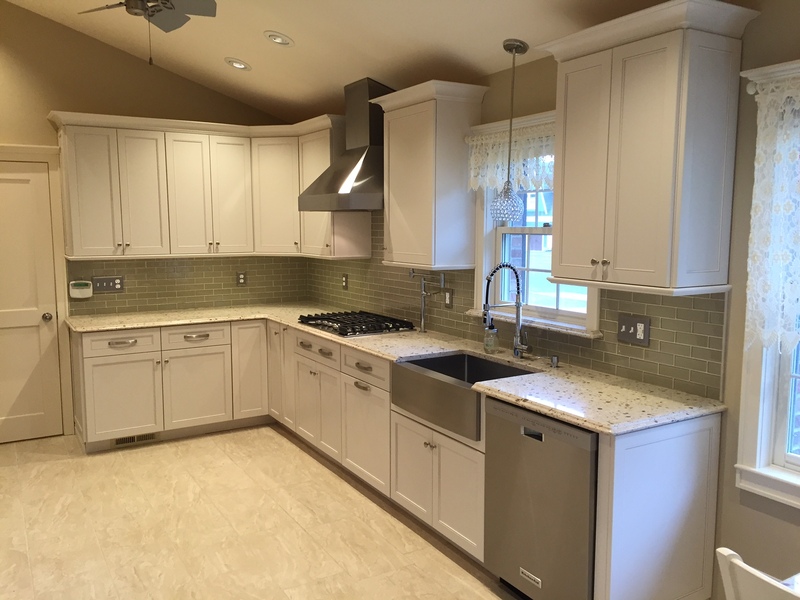 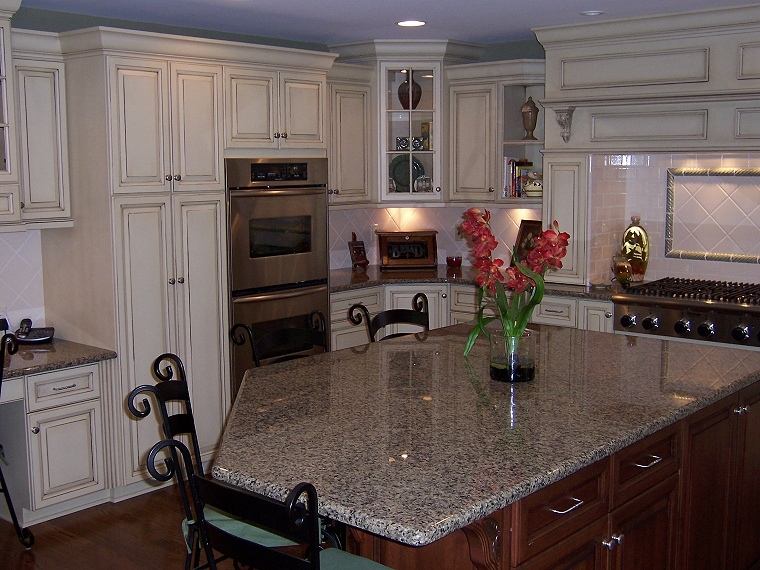 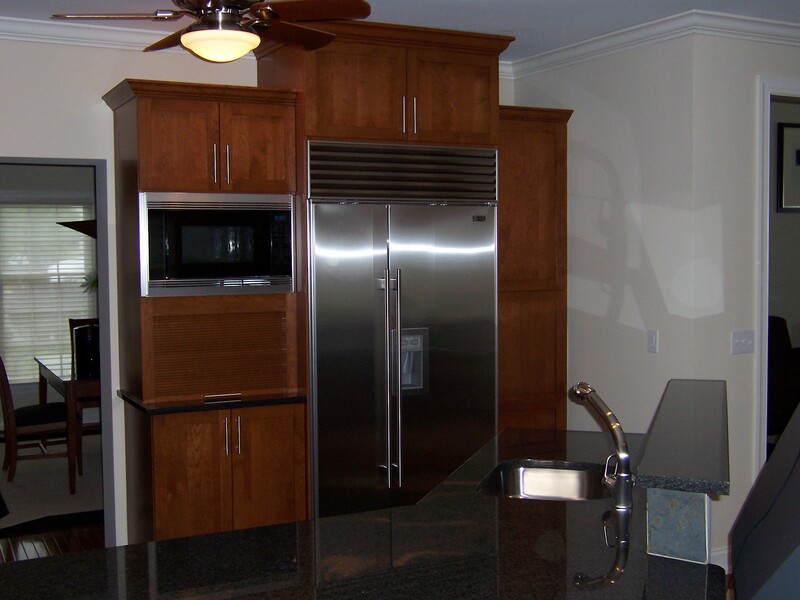 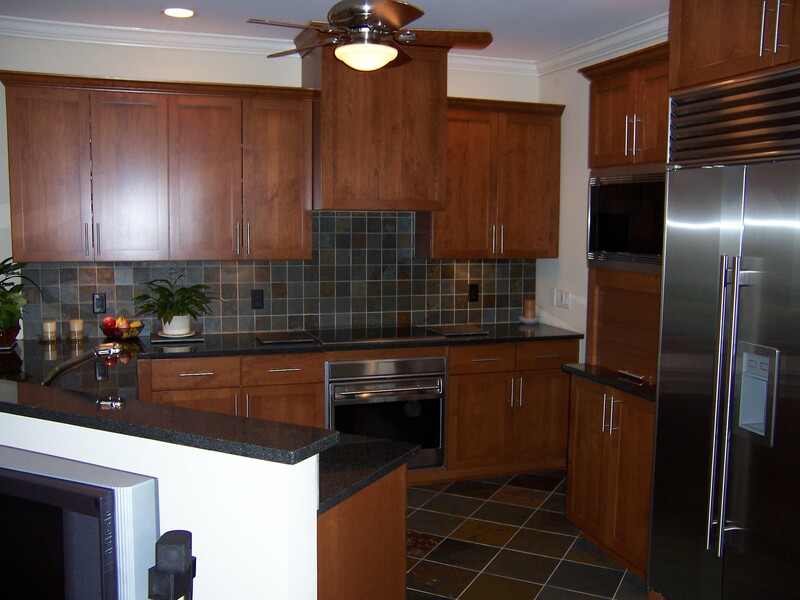 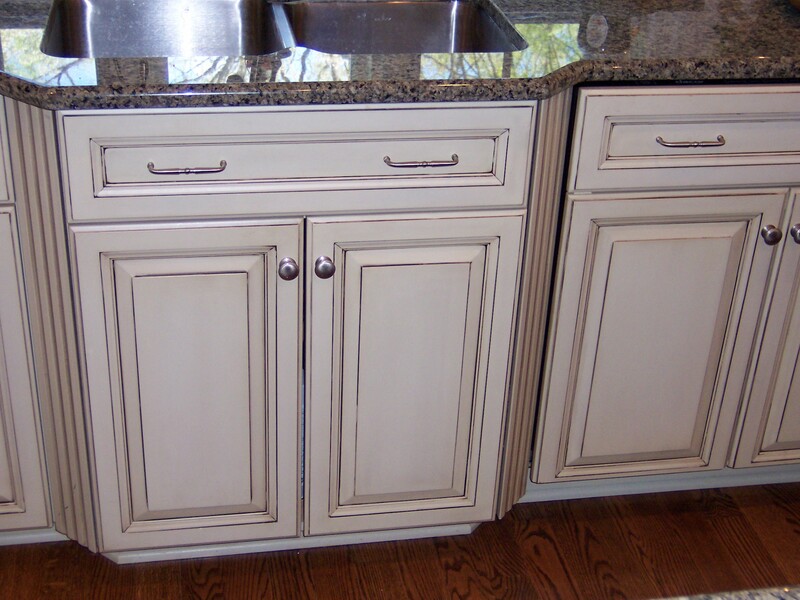 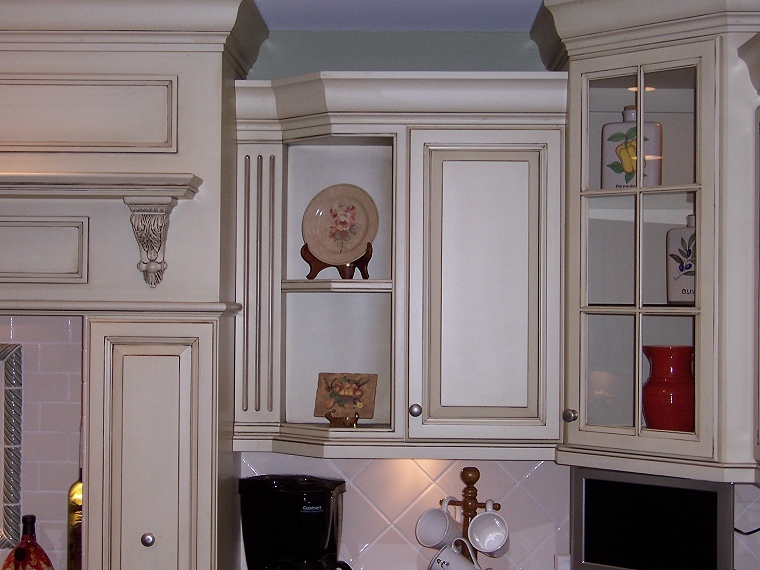 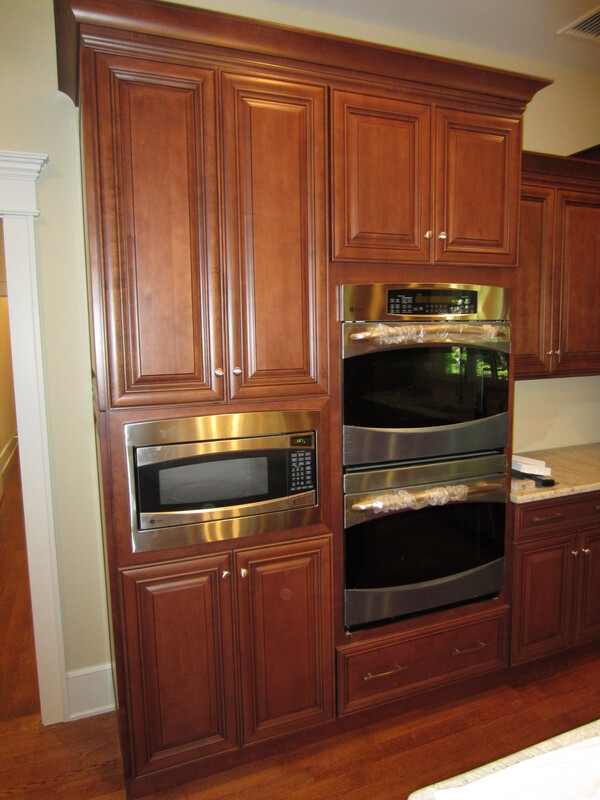 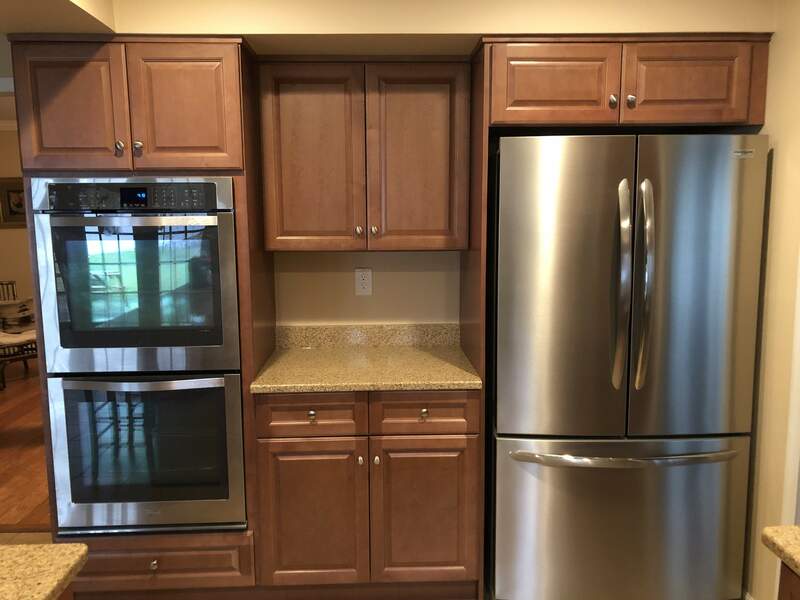 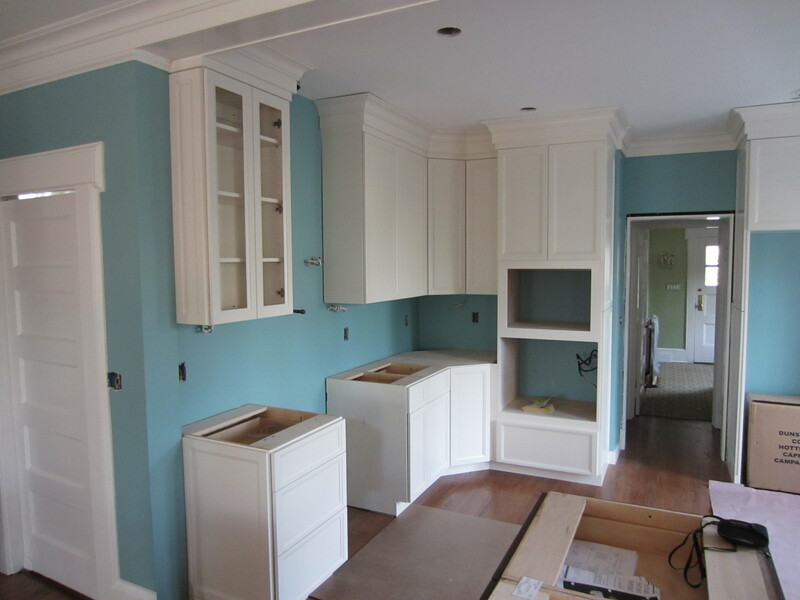 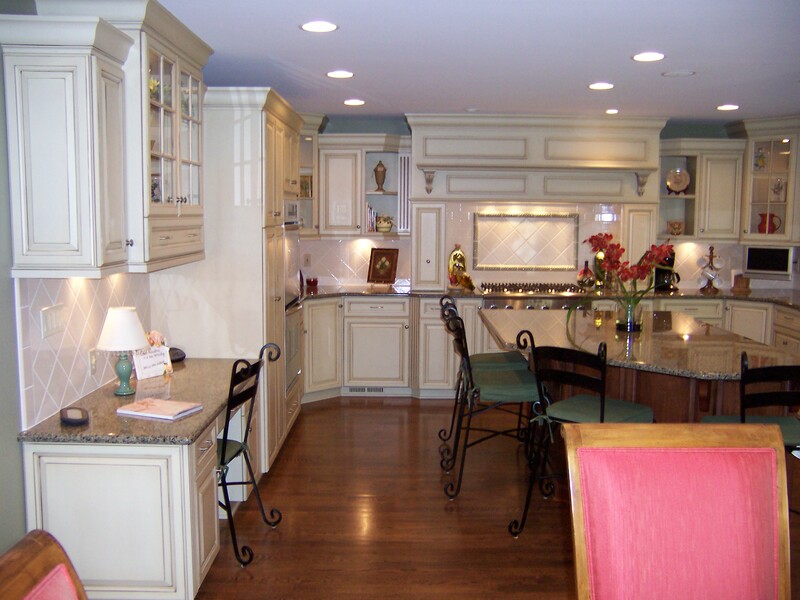 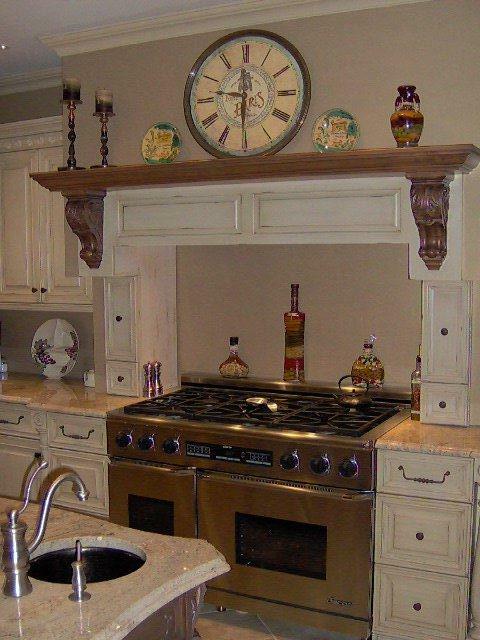 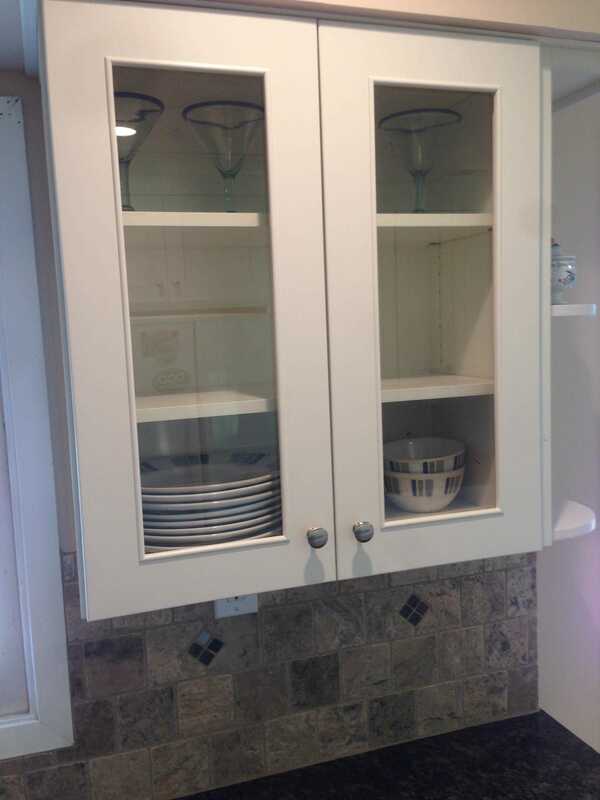 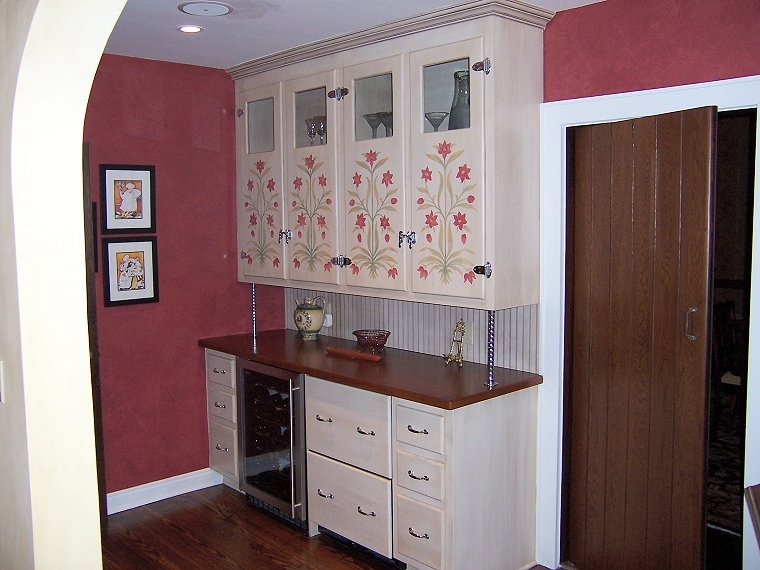 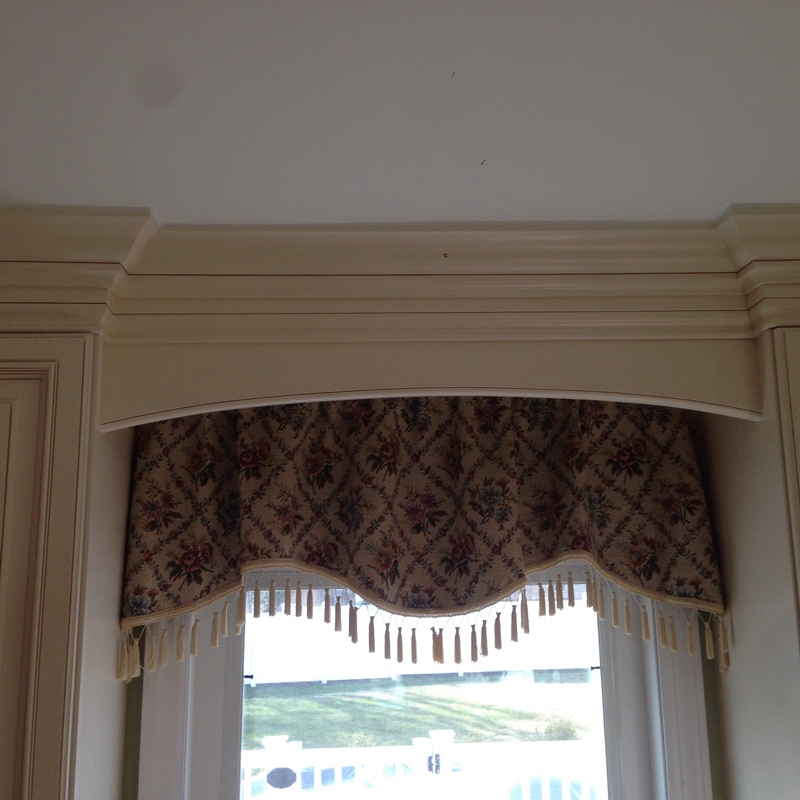 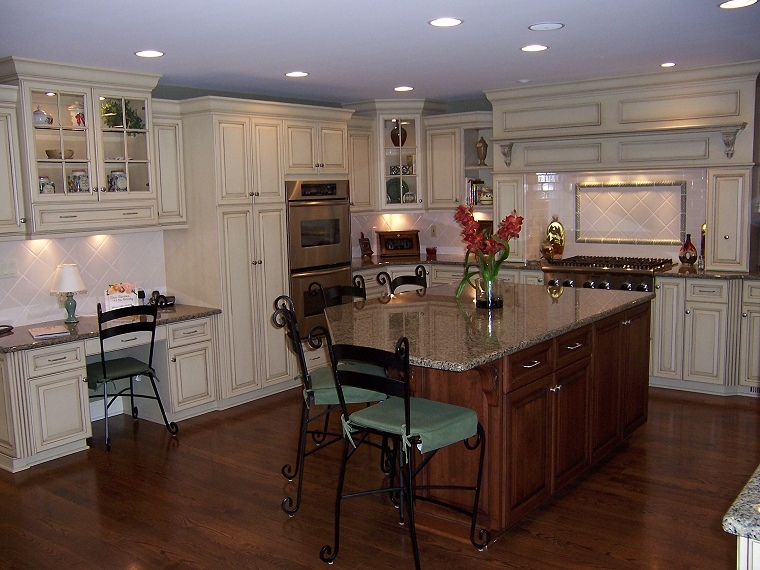 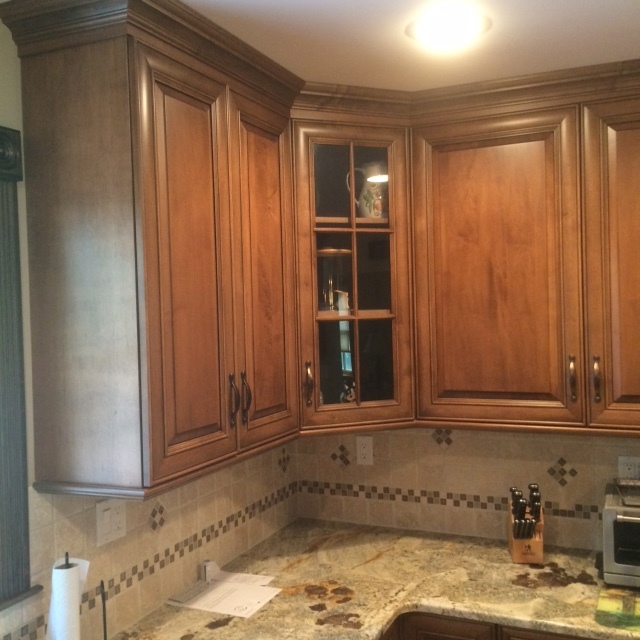 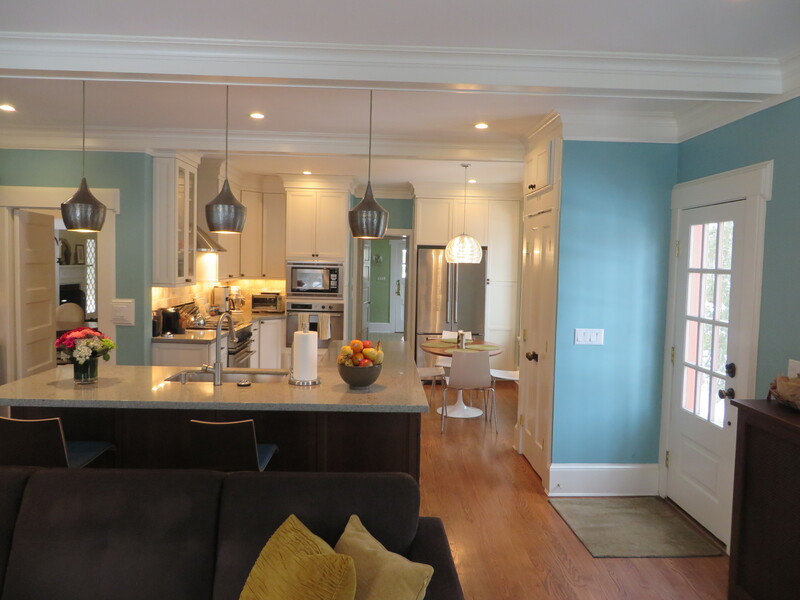 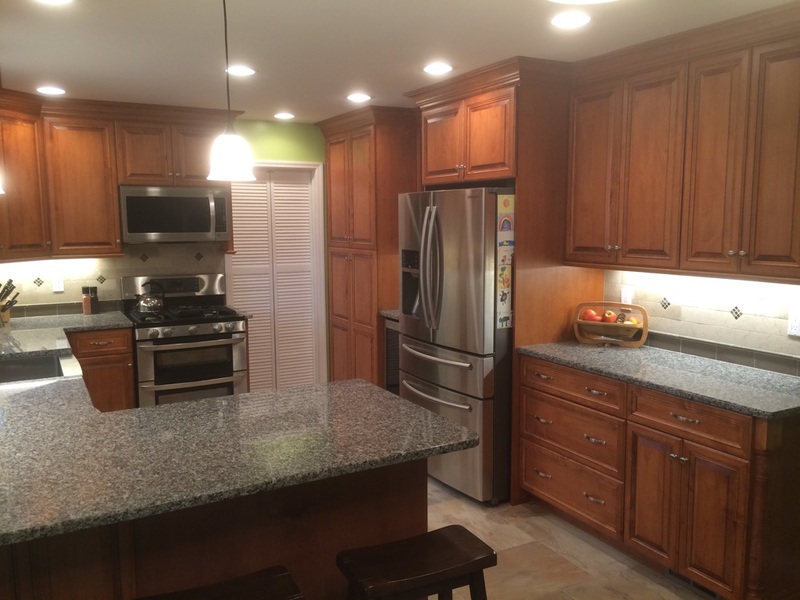 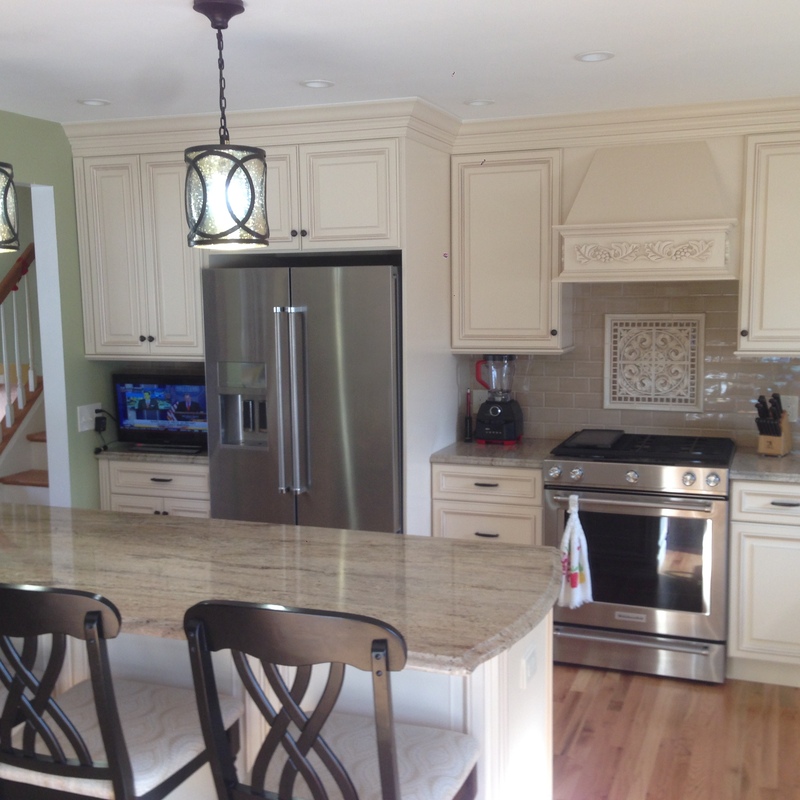 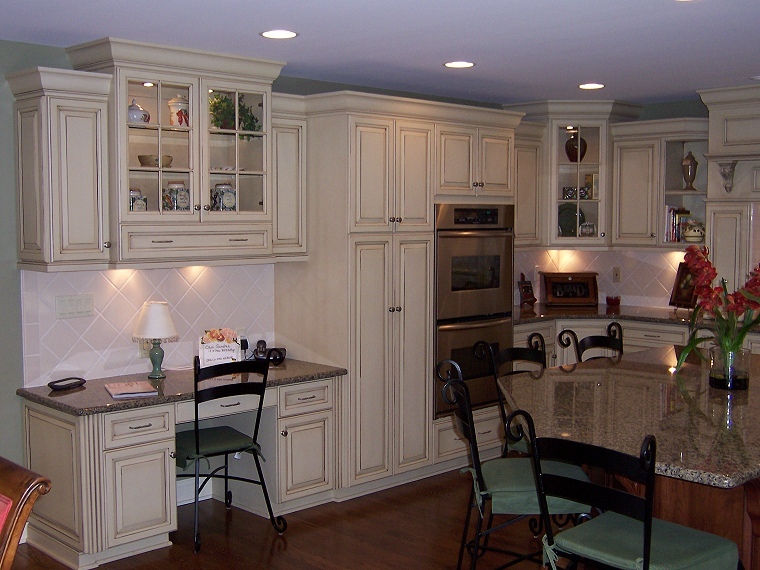 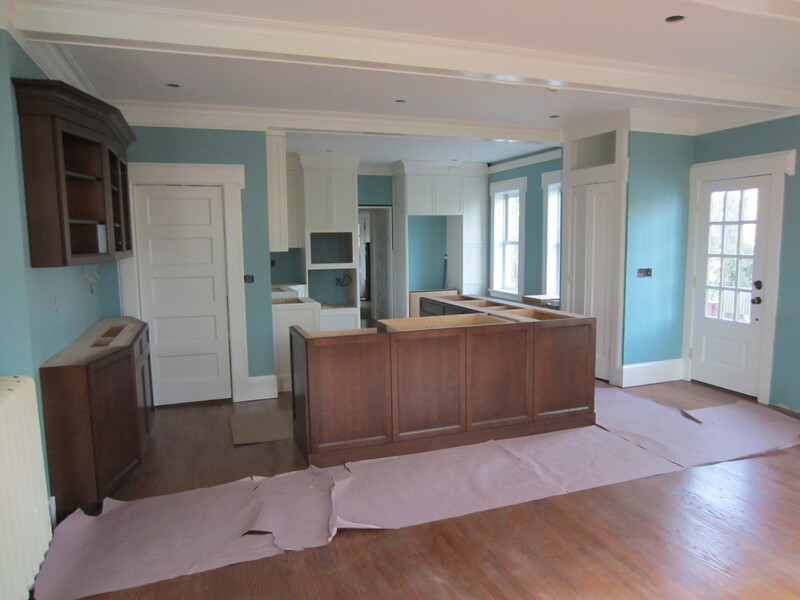 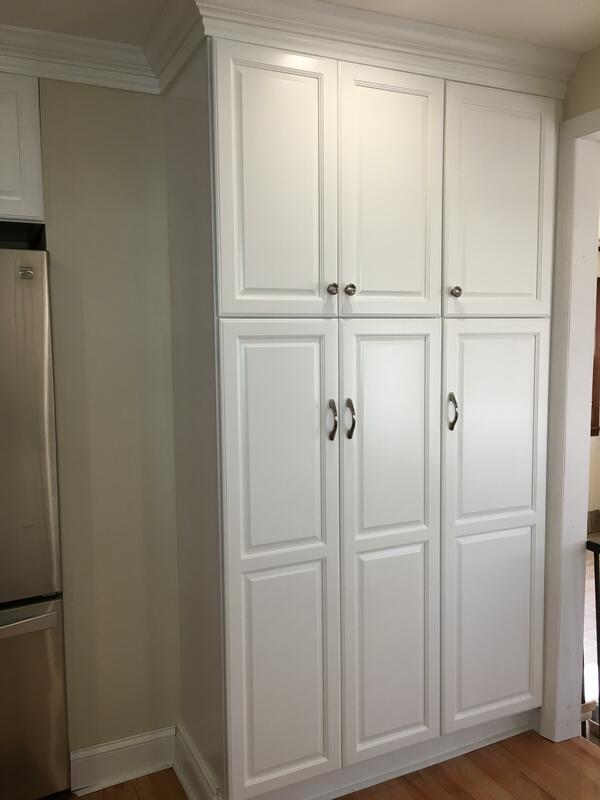 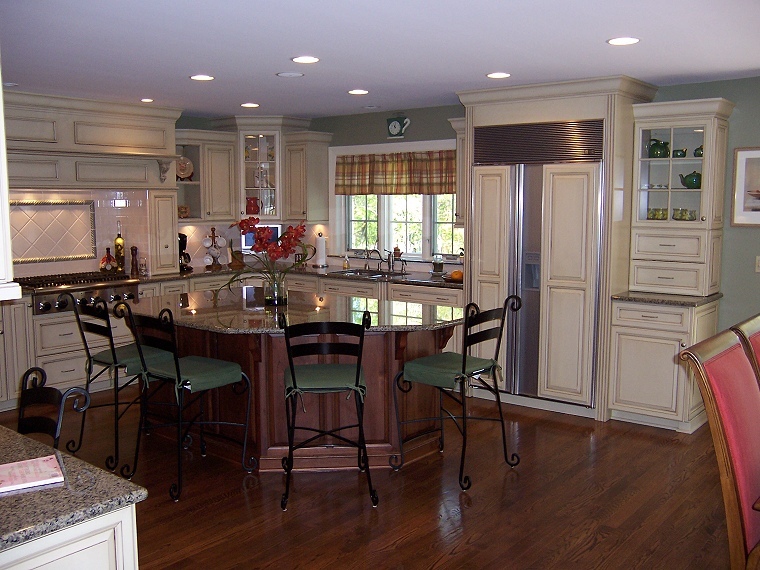 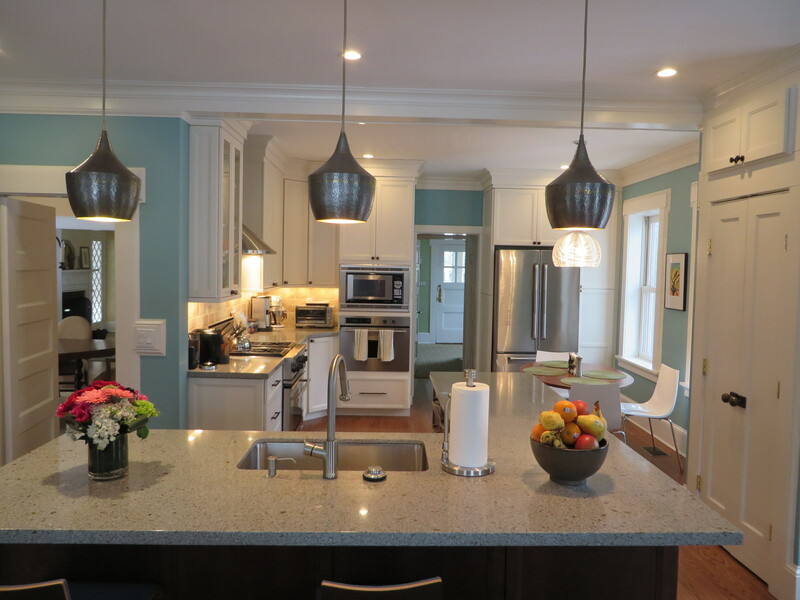 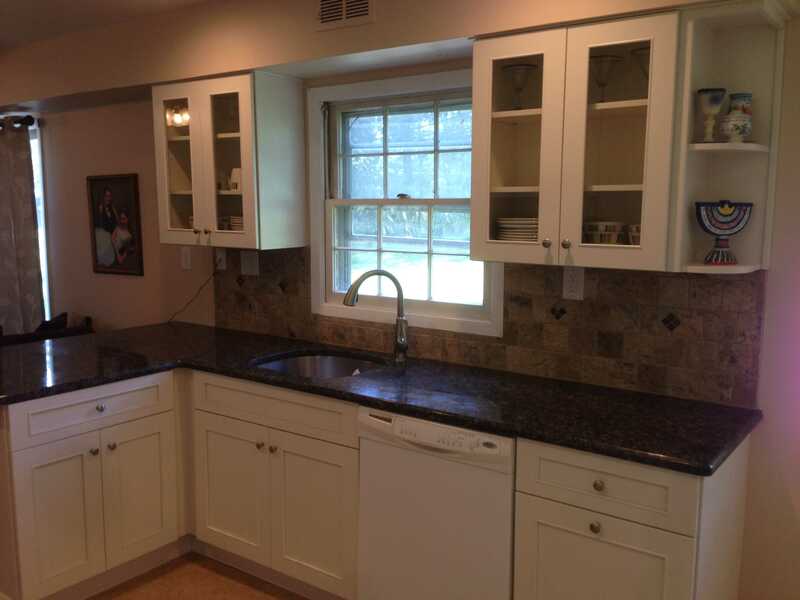 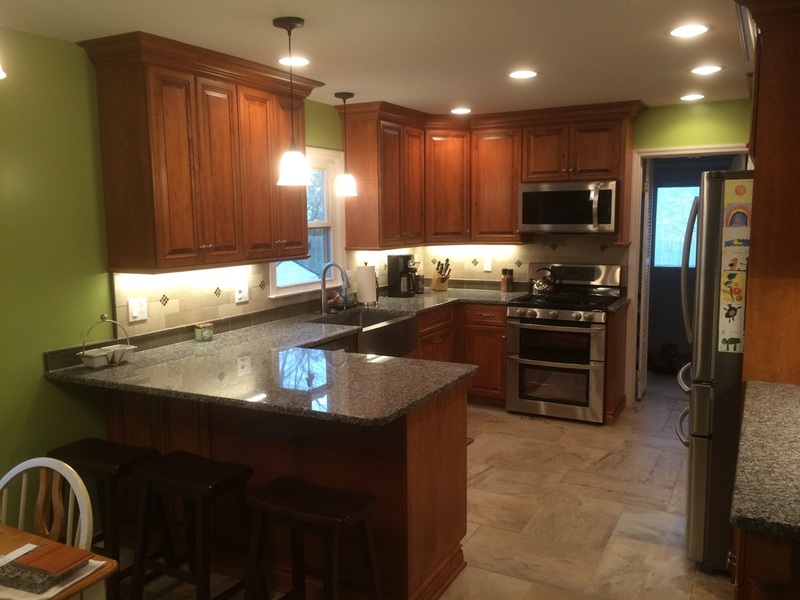 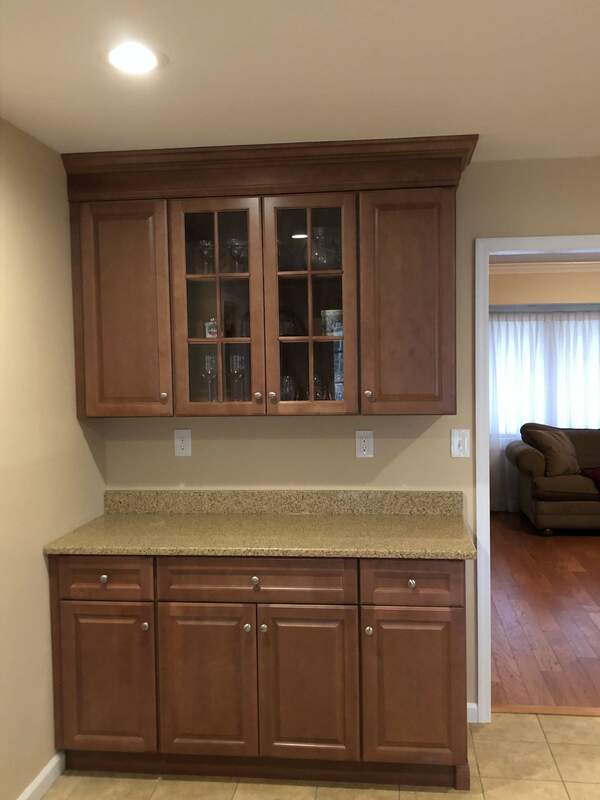 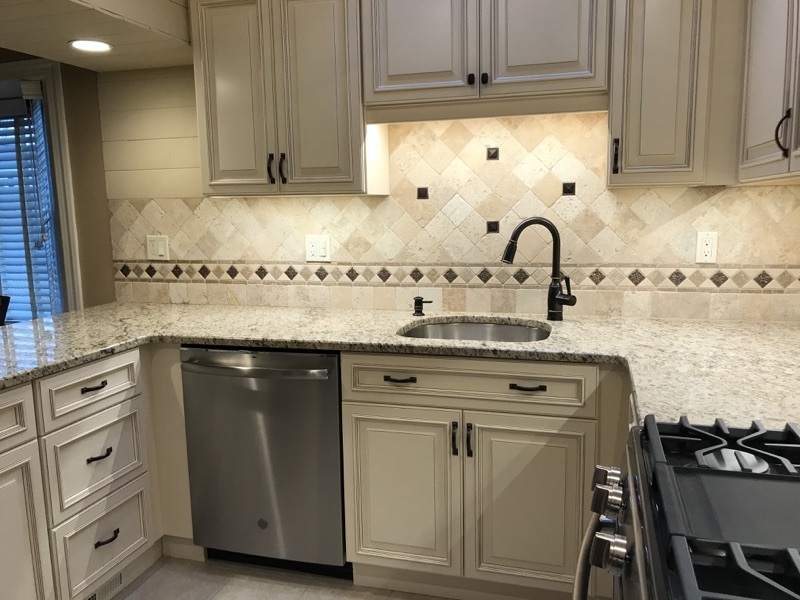 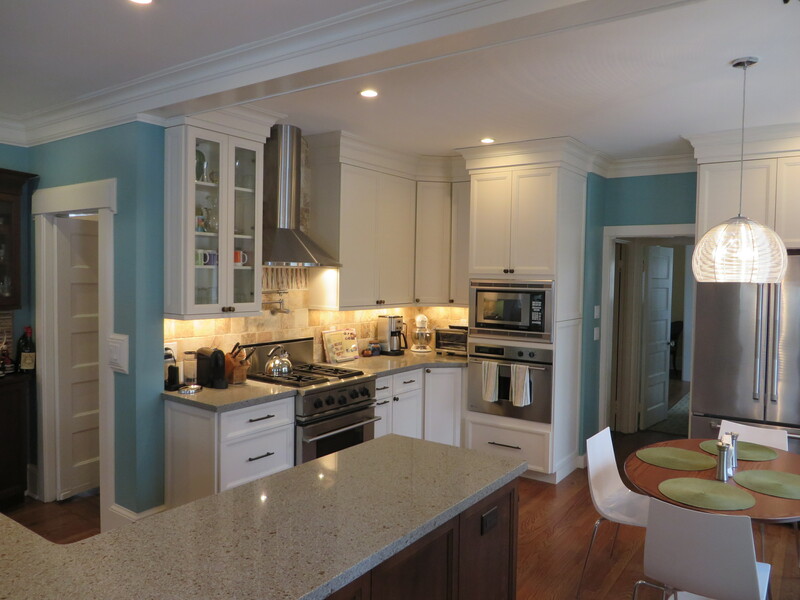 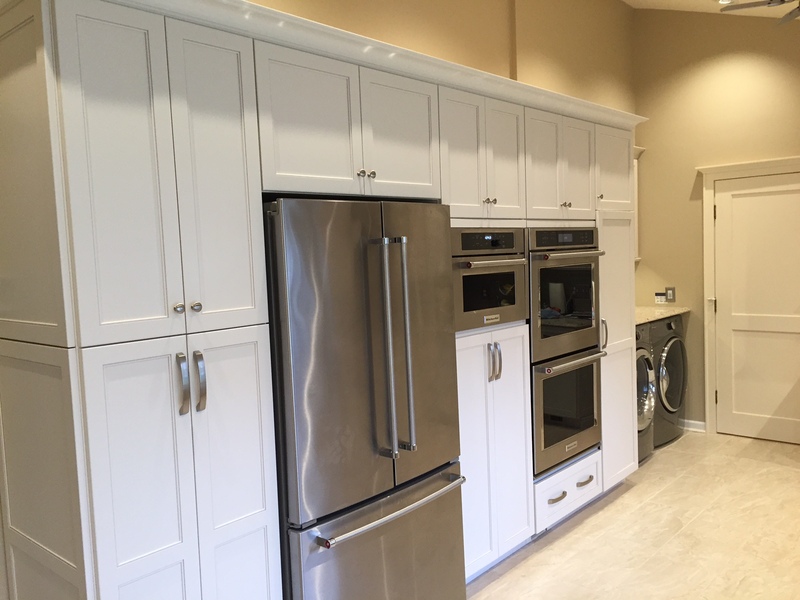 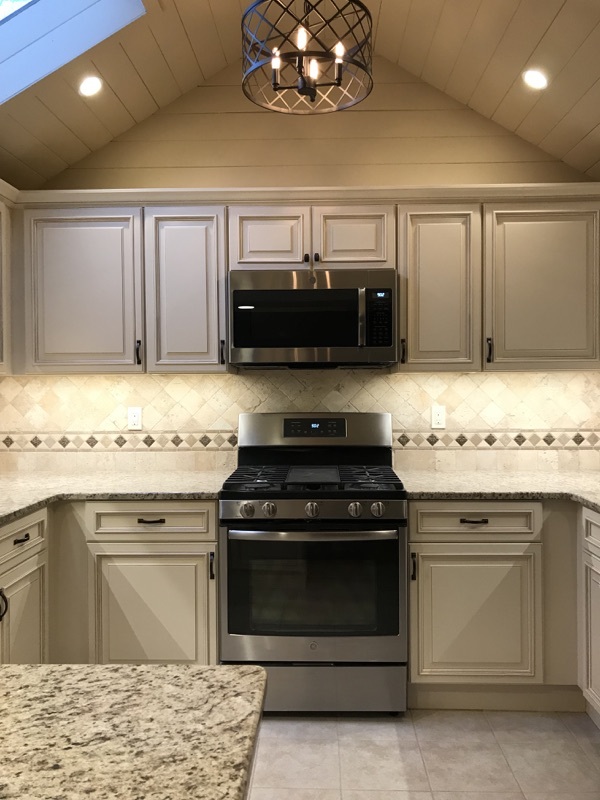 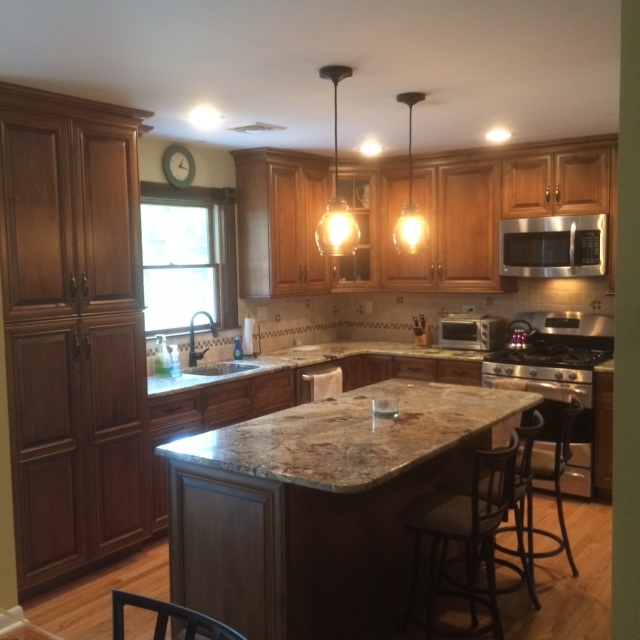 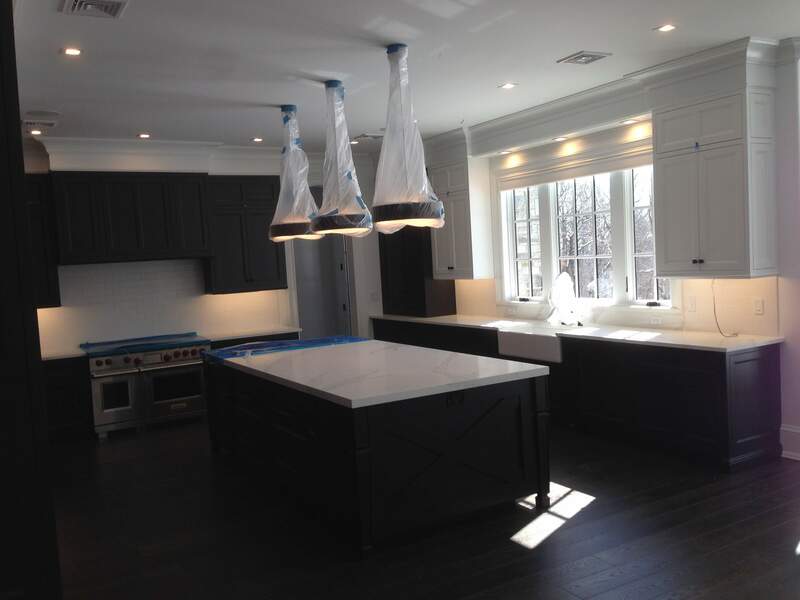 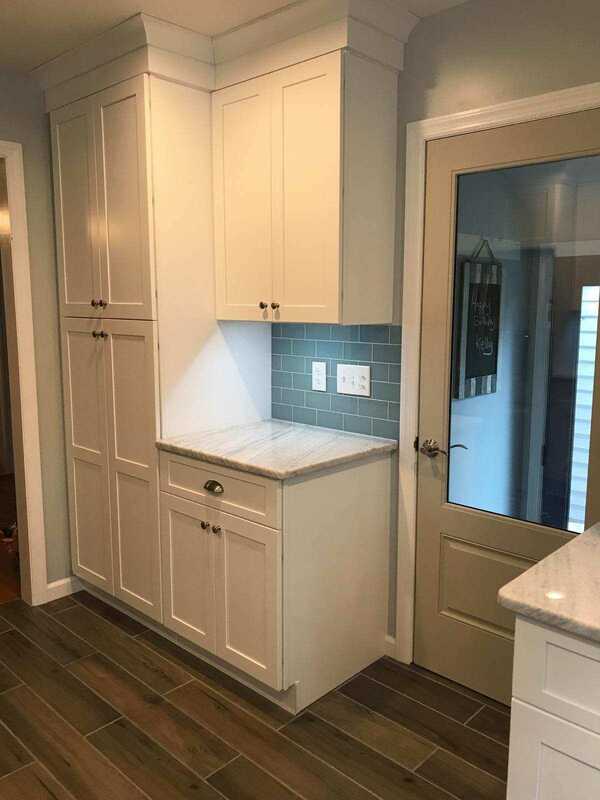 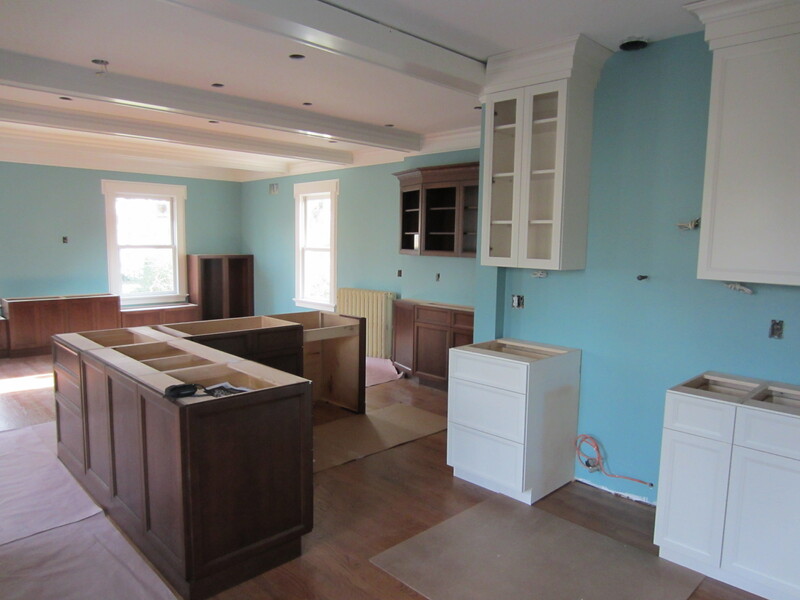 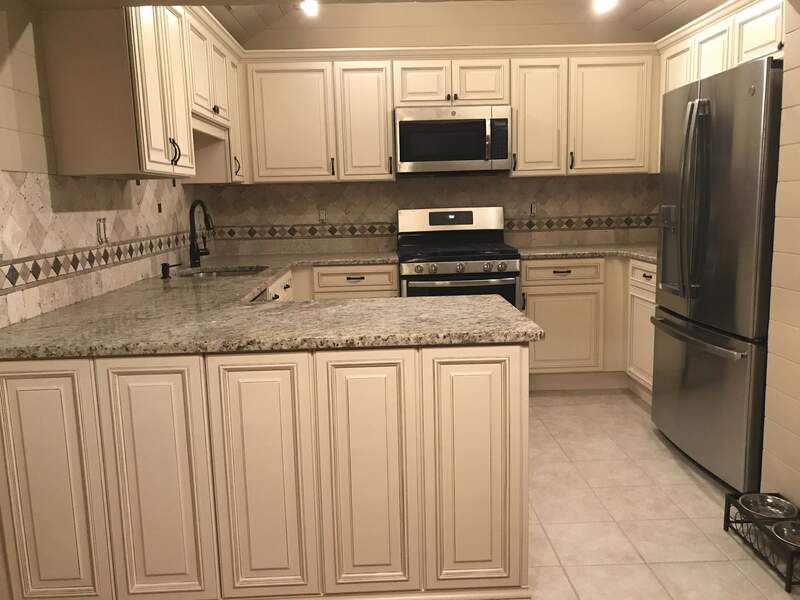 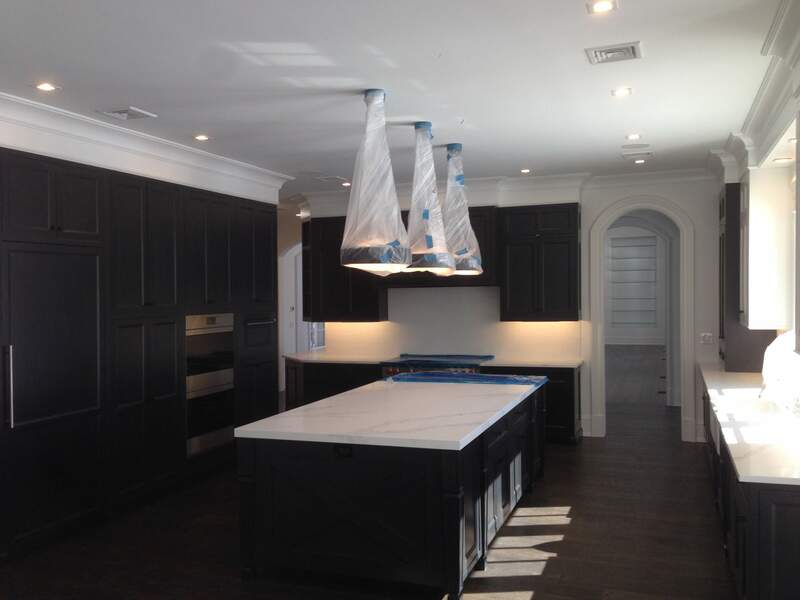 Kitchen -- Matawan, NJ -- JP Fabuwood Cabinetry, Wellington Ivory/Glaze, 96" tall, 2-piece Crown Molding, pull out garbage/recyc. 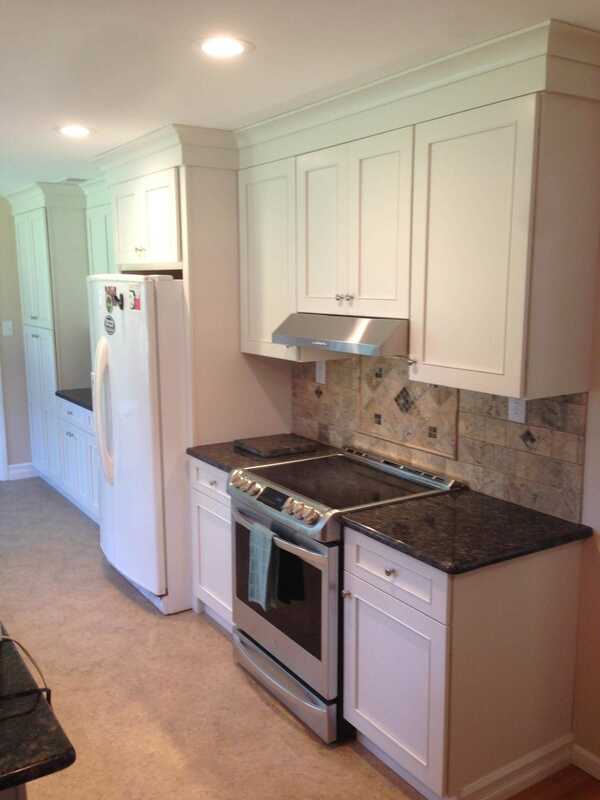 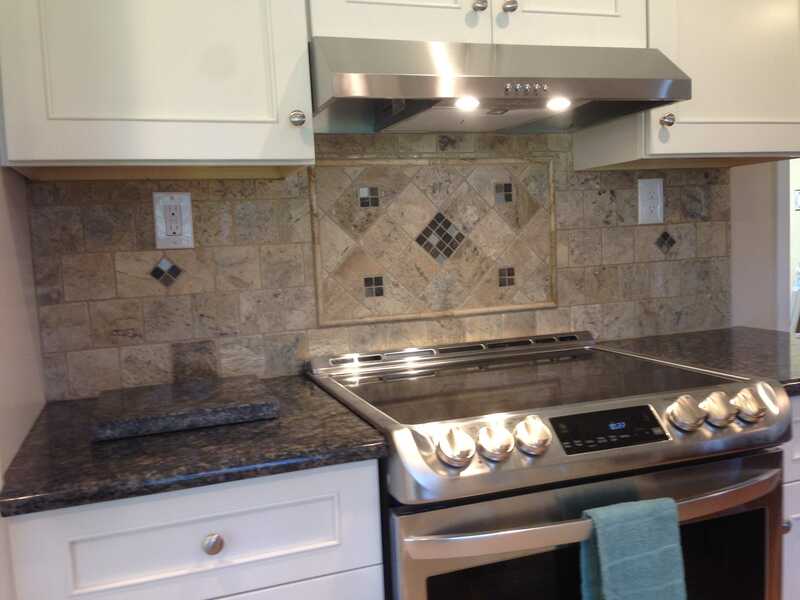 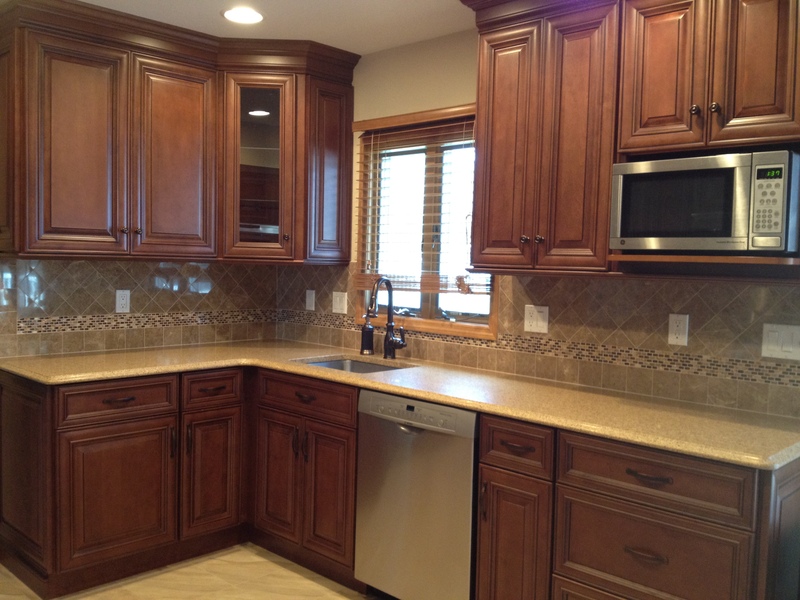 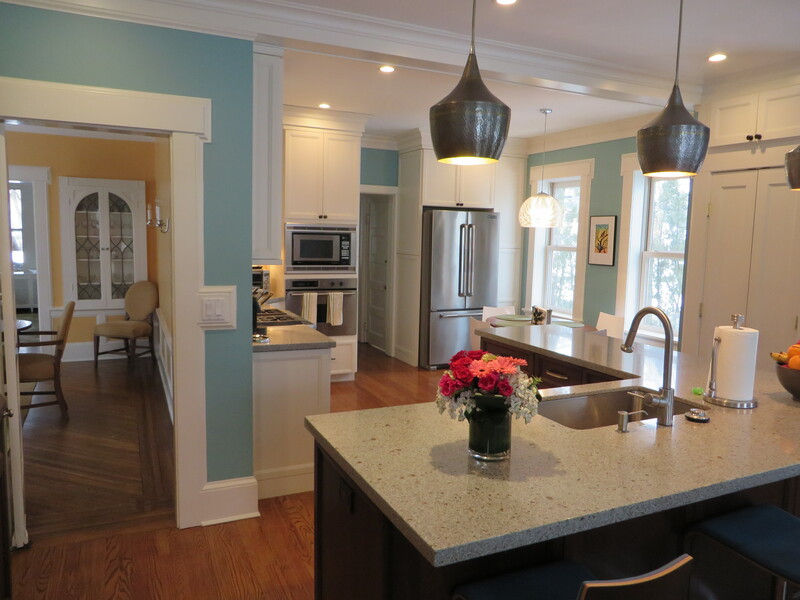 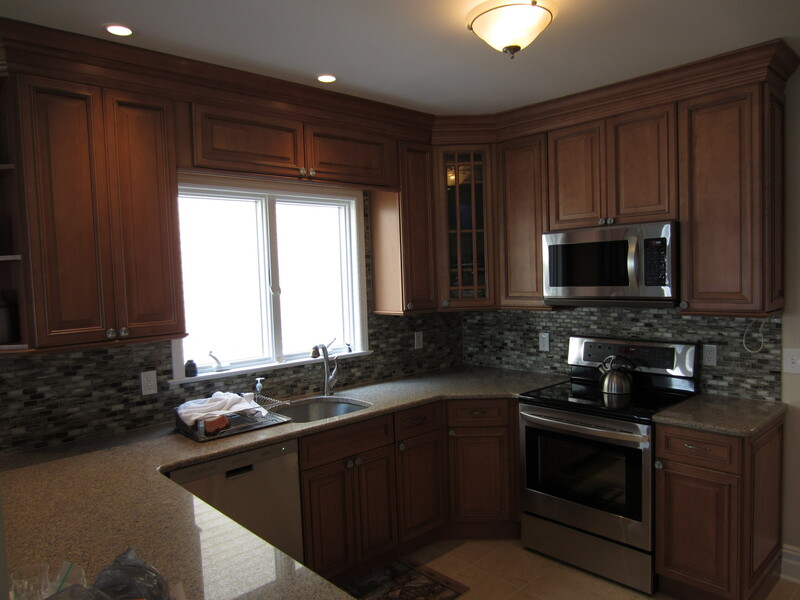 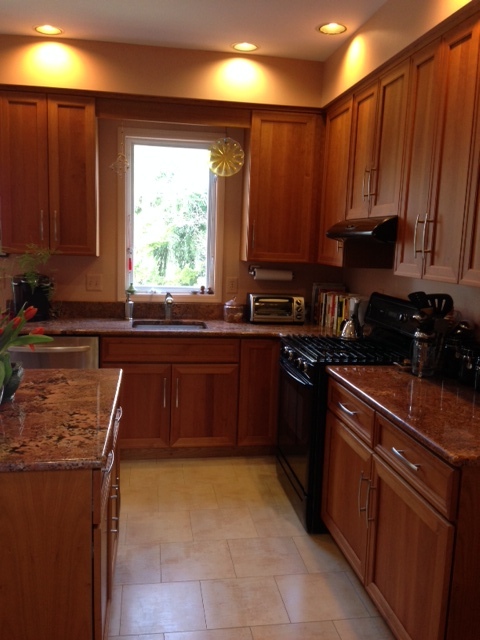 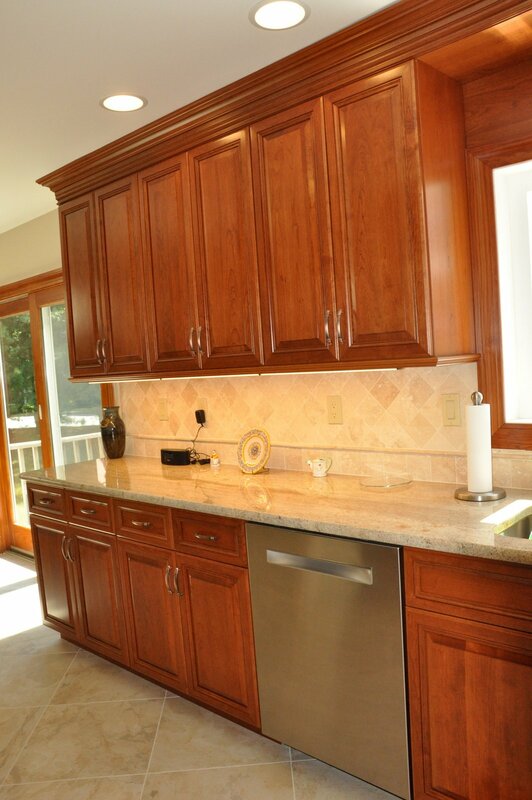 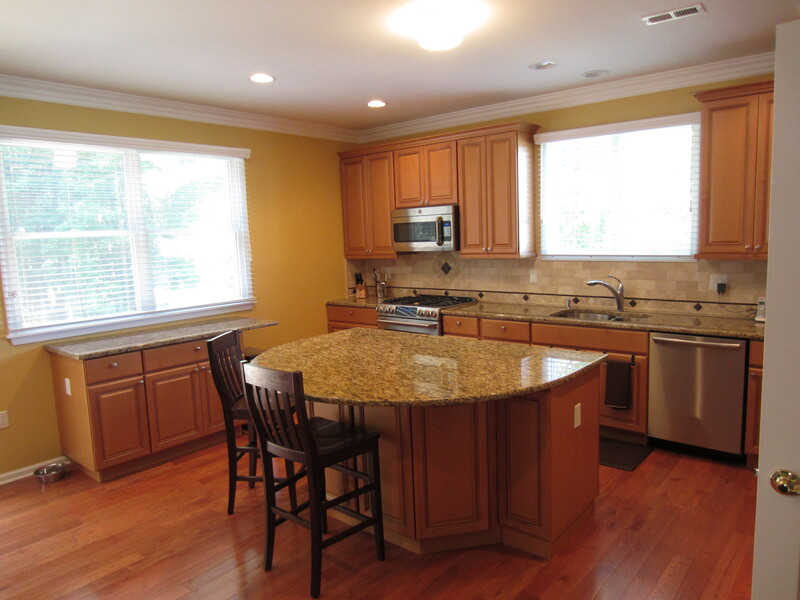 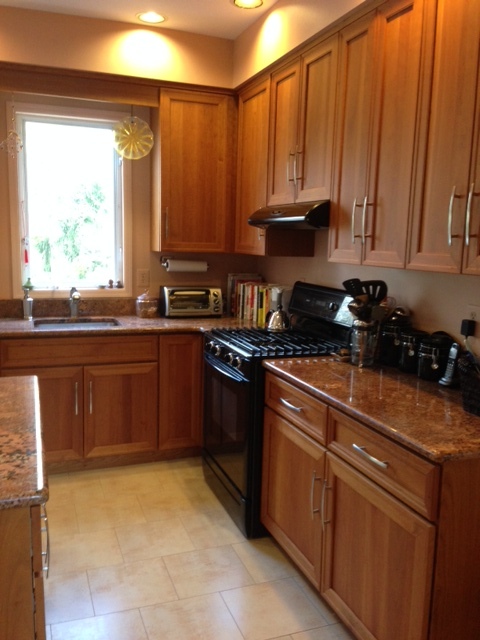 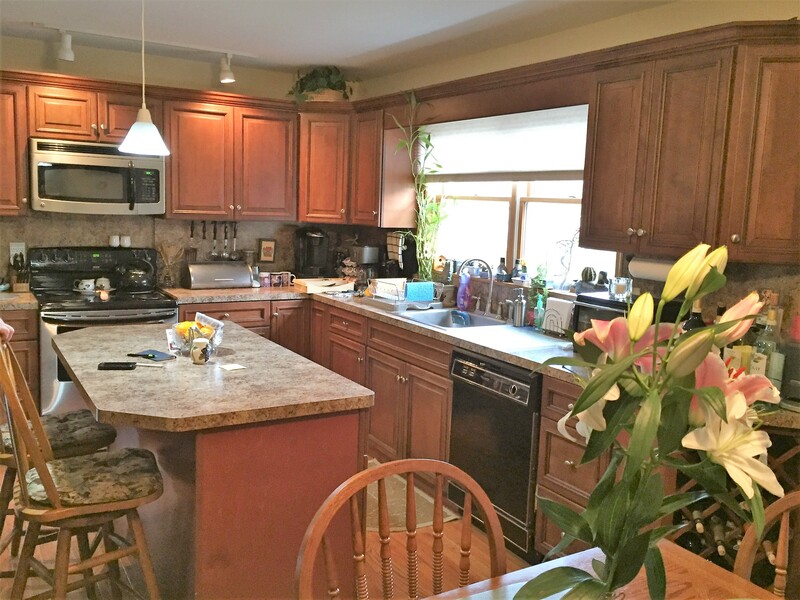 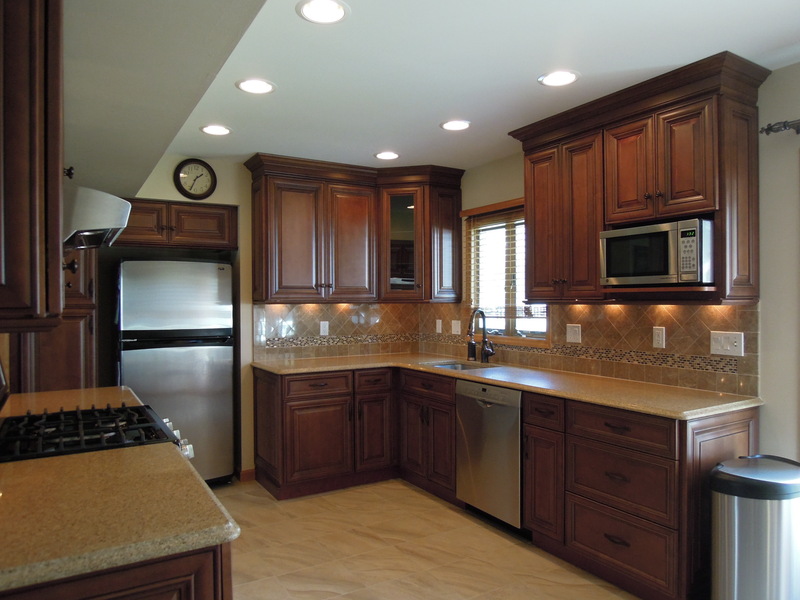 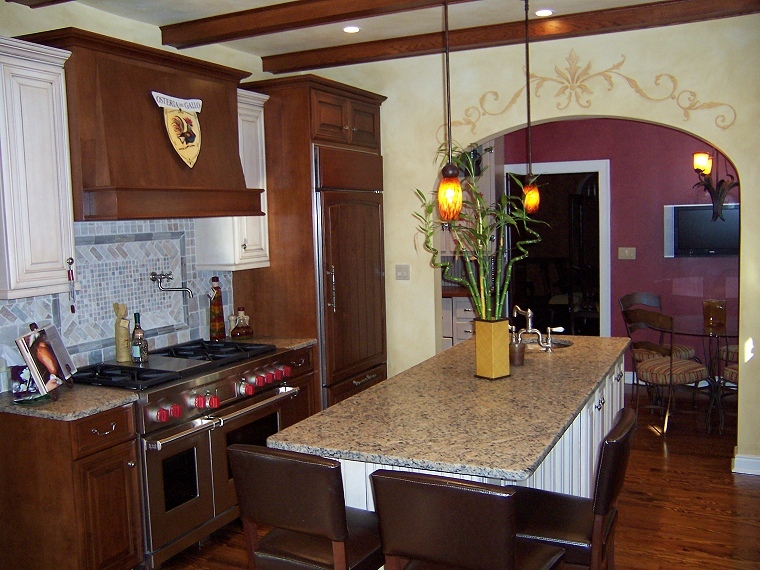 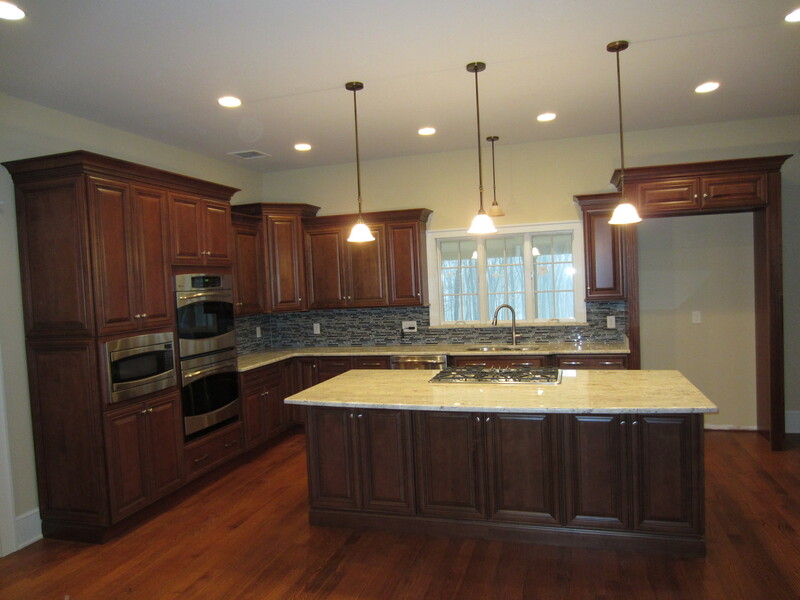 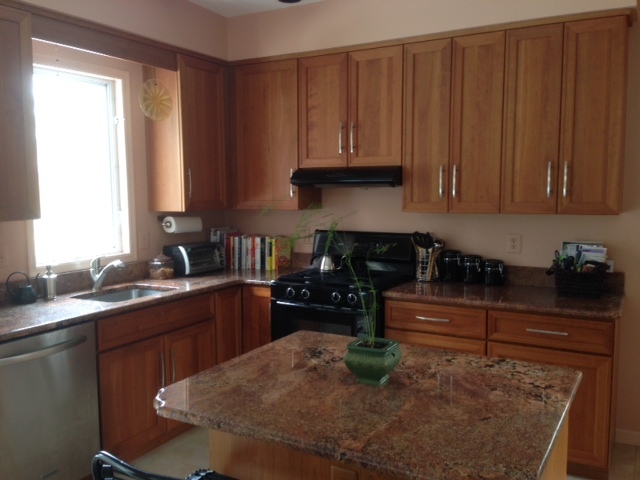 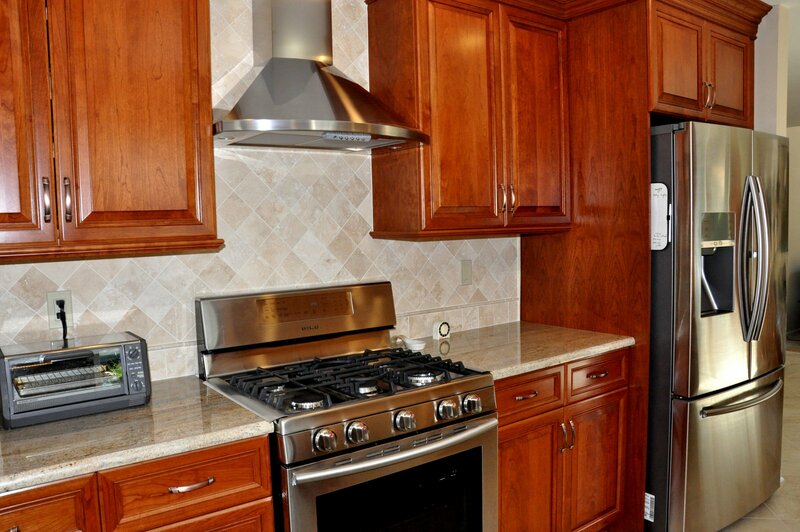 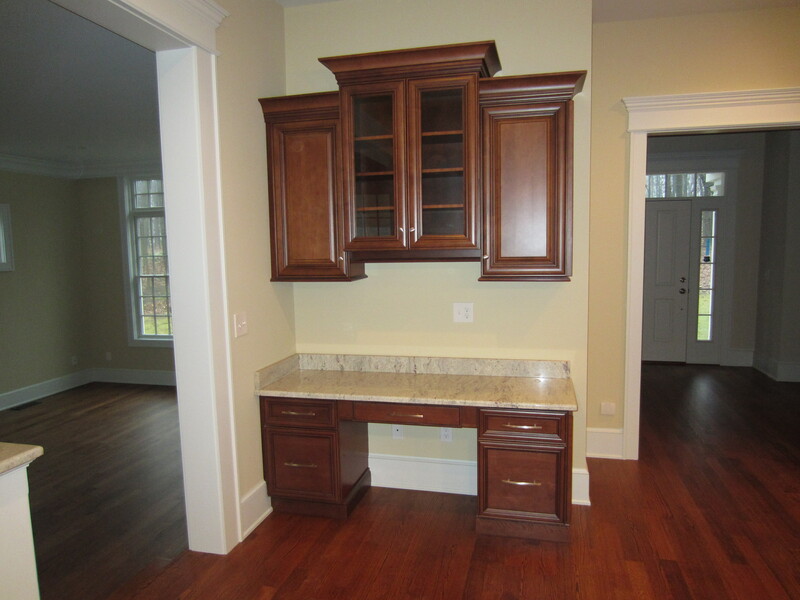 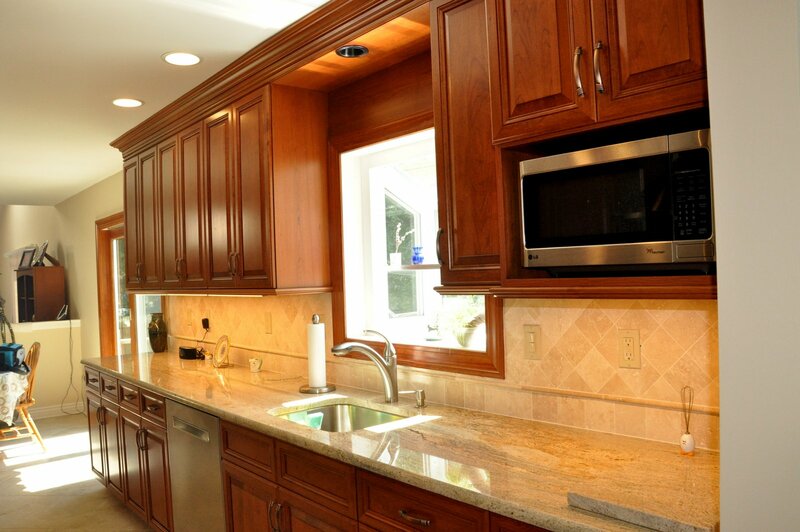 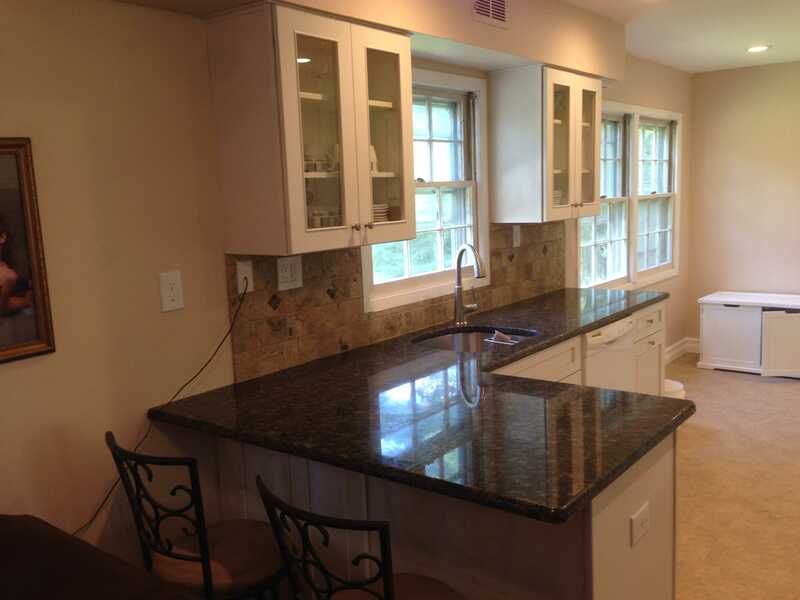 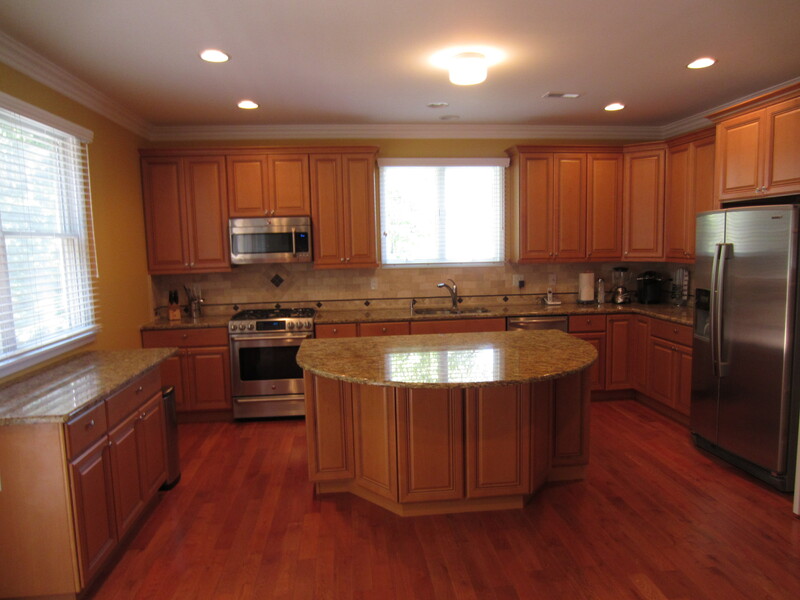 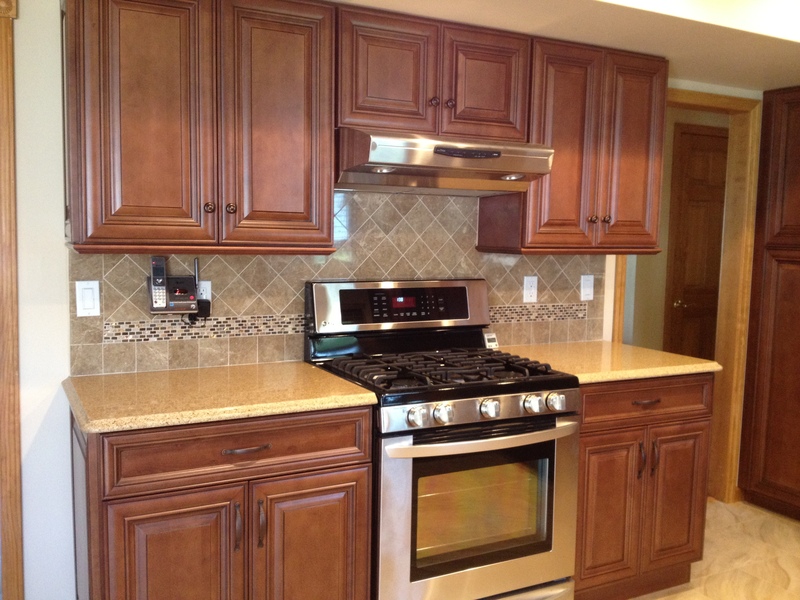 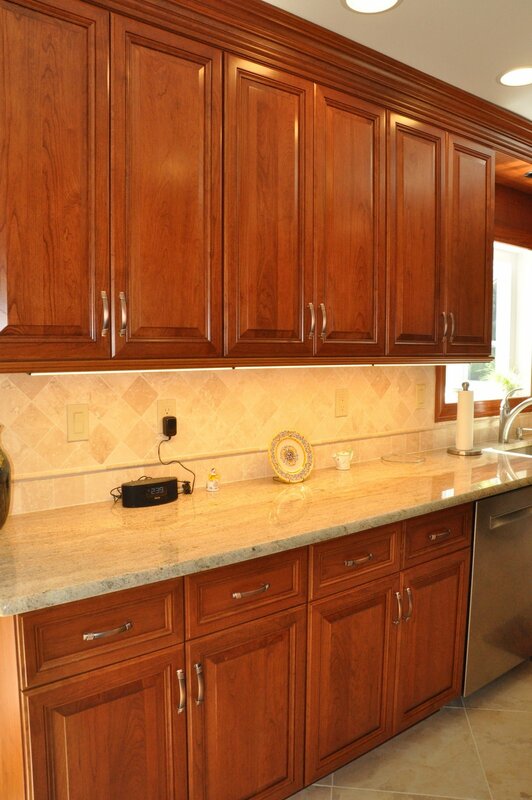 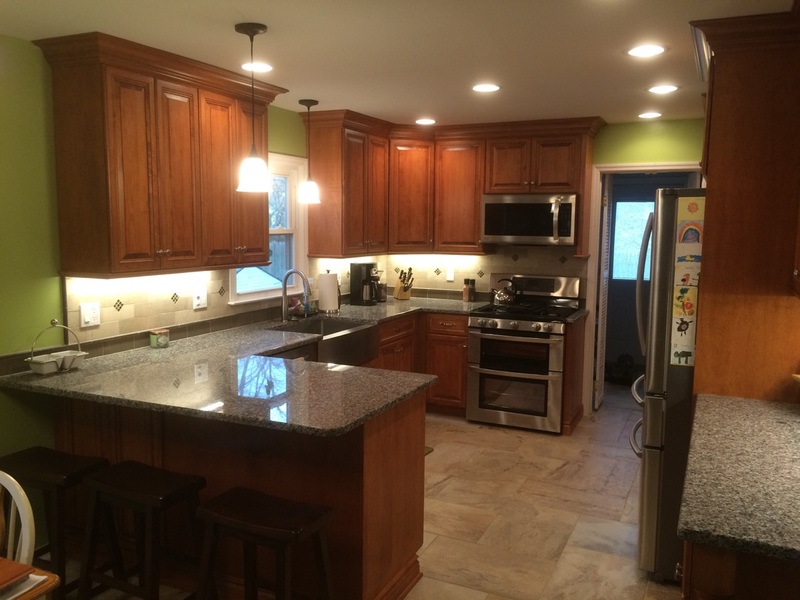 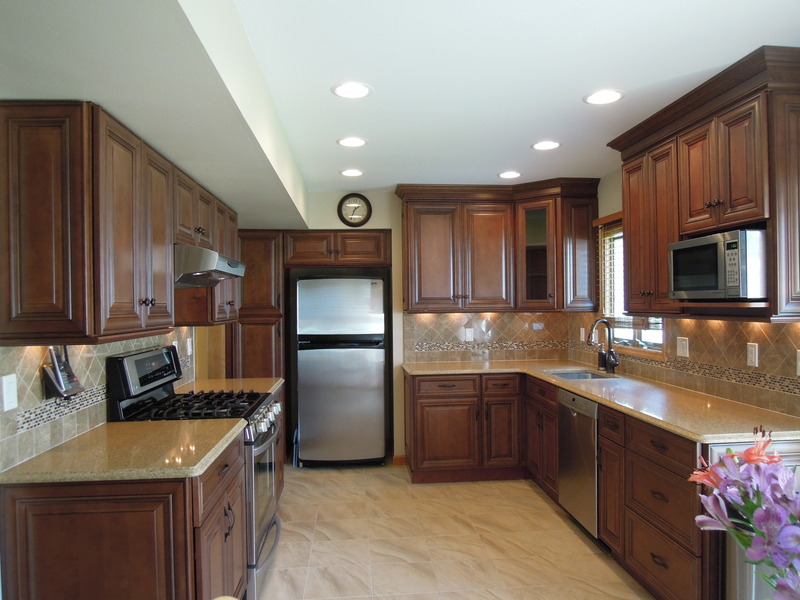 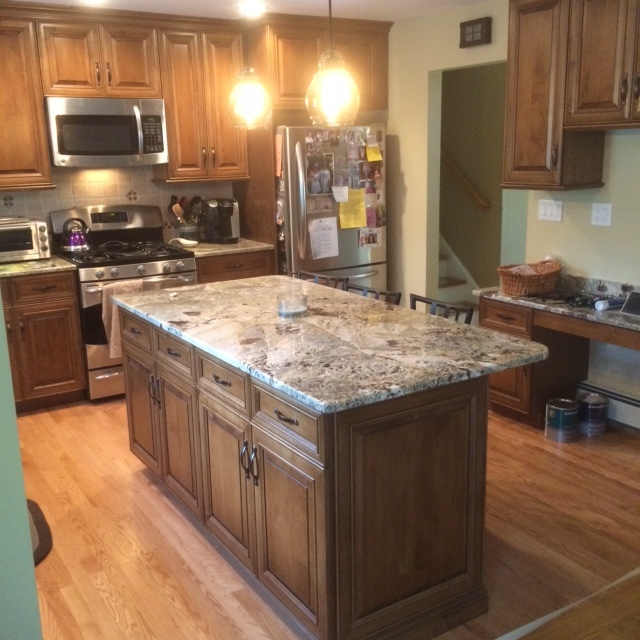 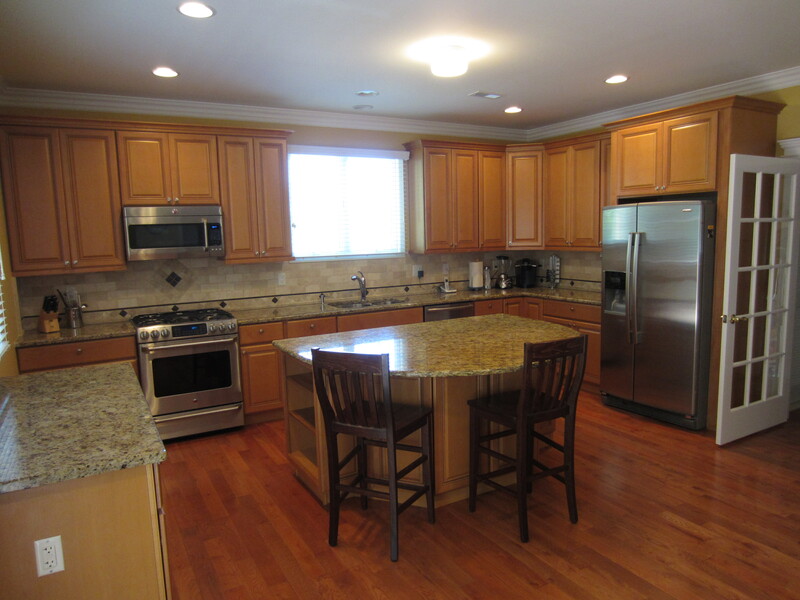 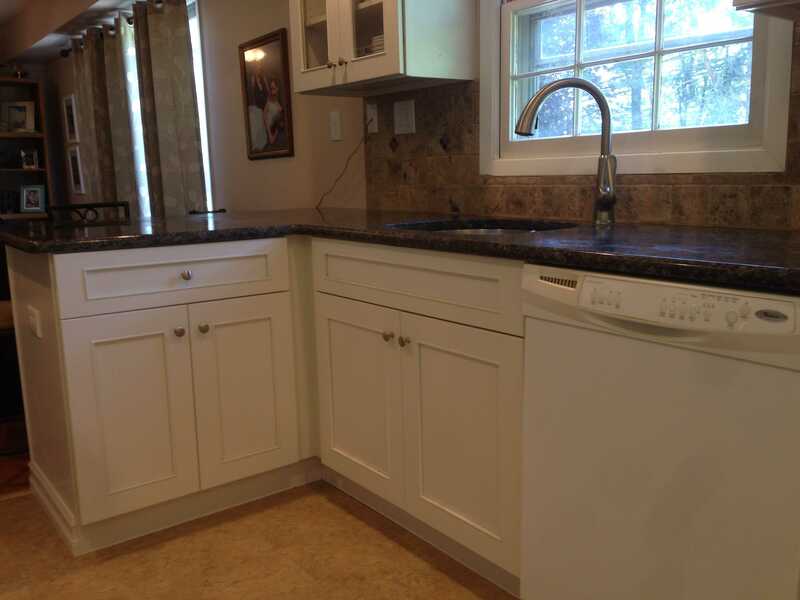 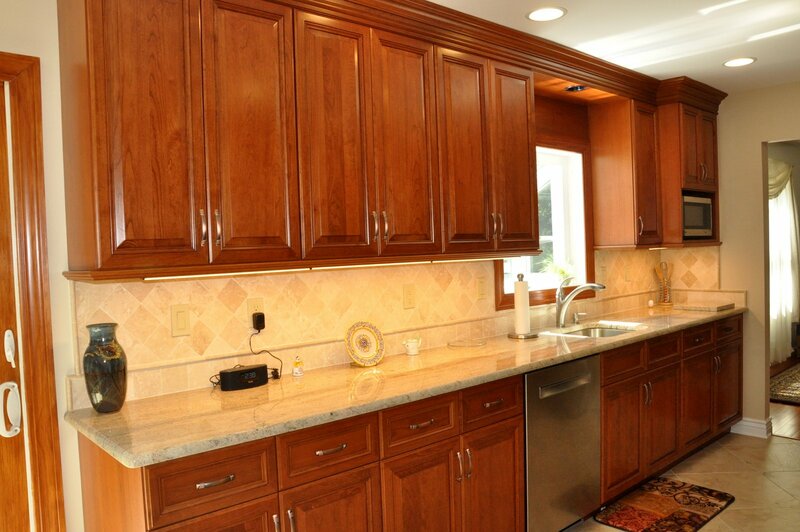 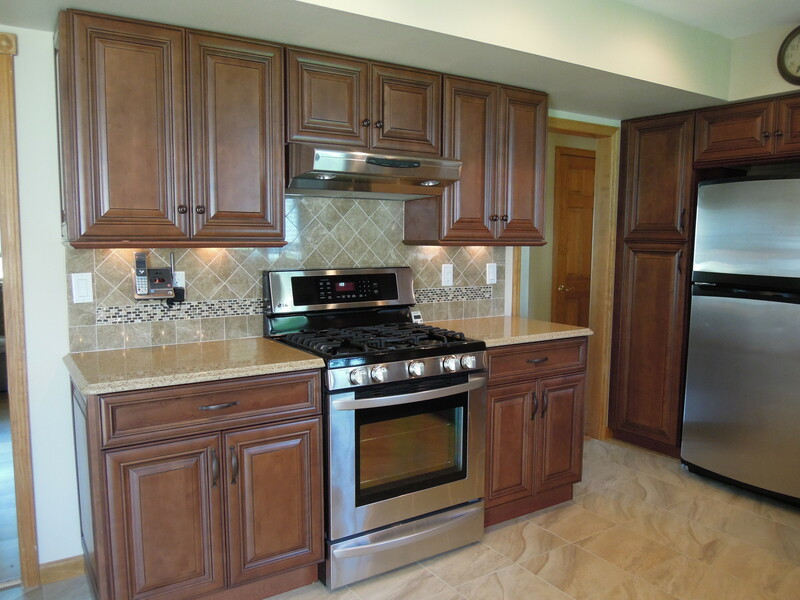 PA Kitchen -- SW #Fabuwood in #Classic #Wellington #Spice with #granite #counters — at Saylorsburg, Pa 18353. 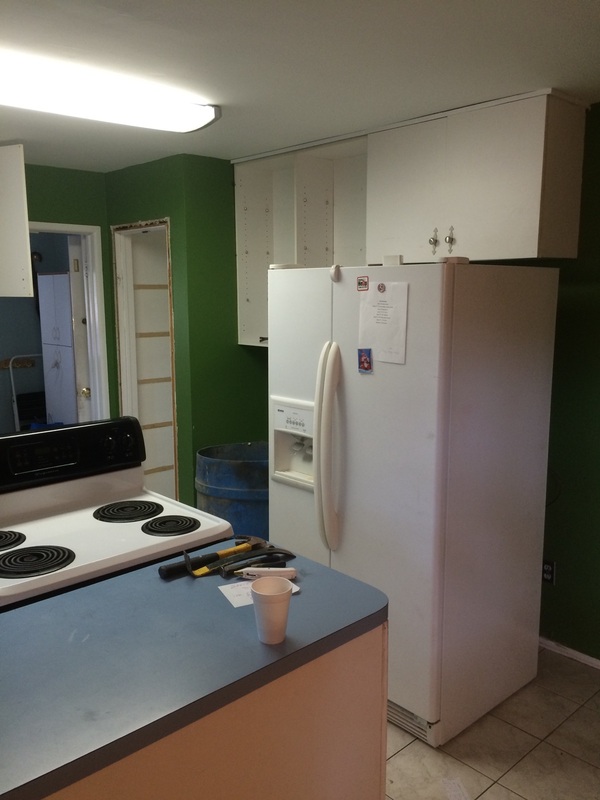 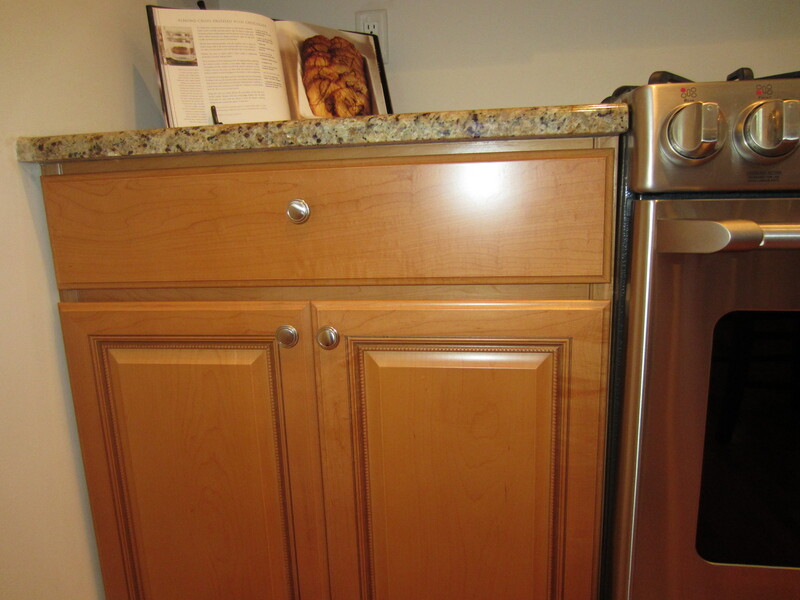 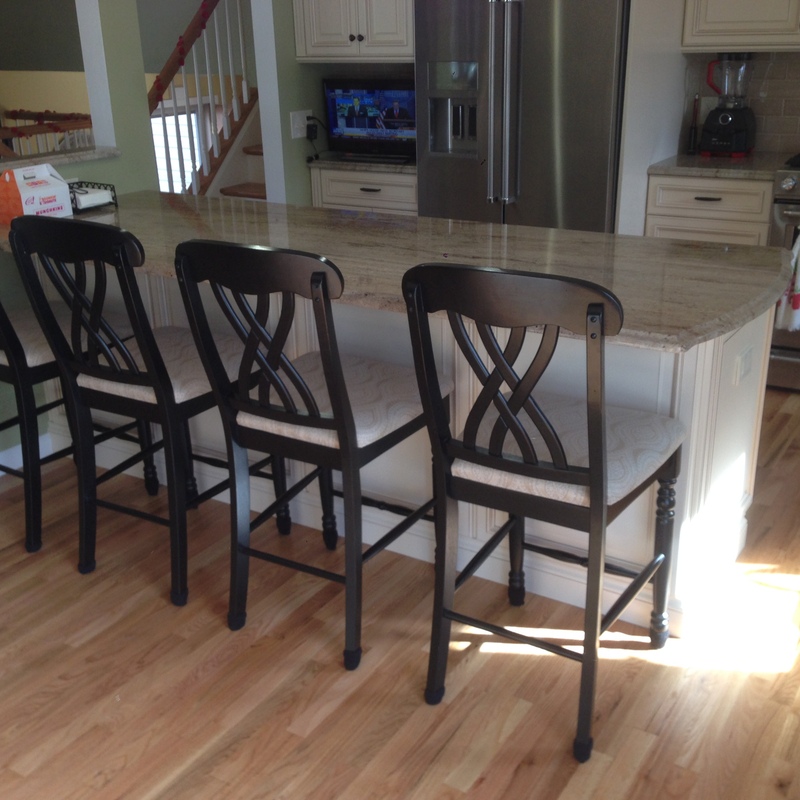 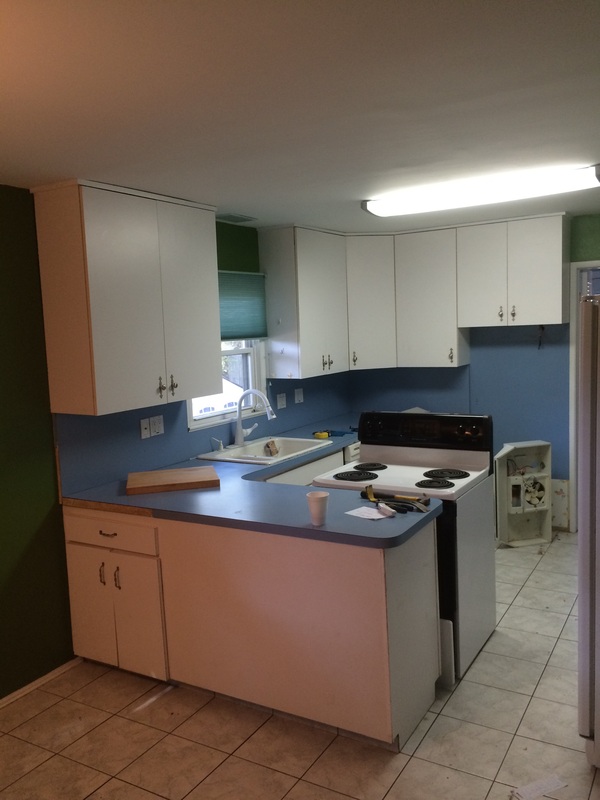 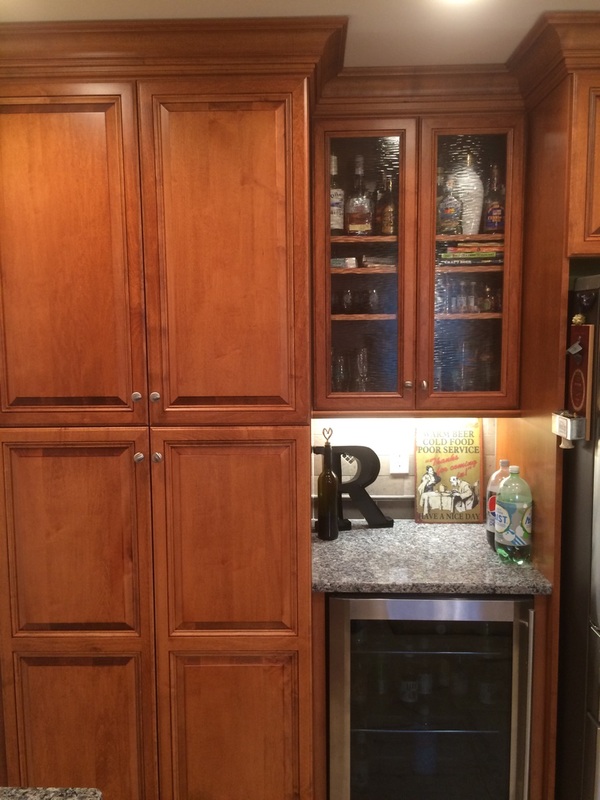 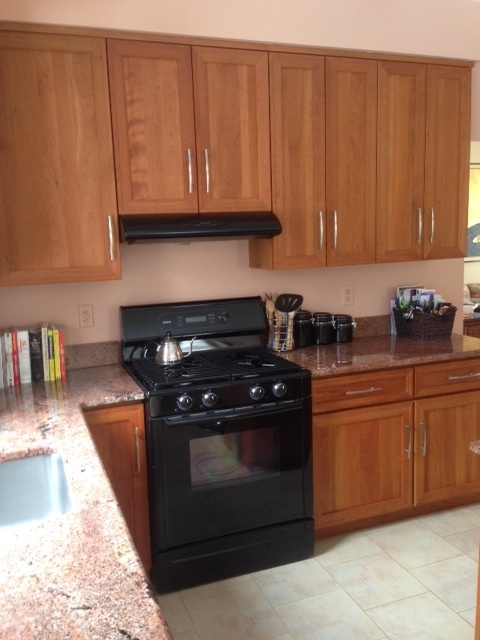 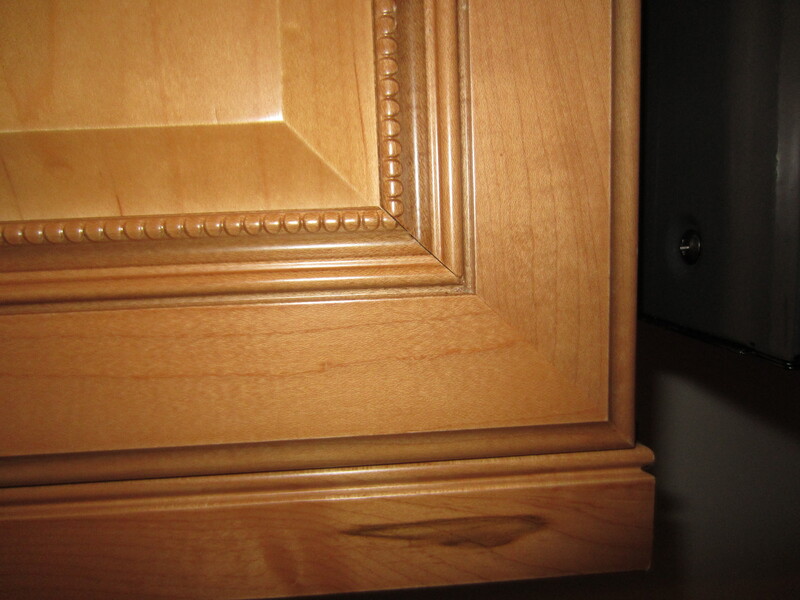 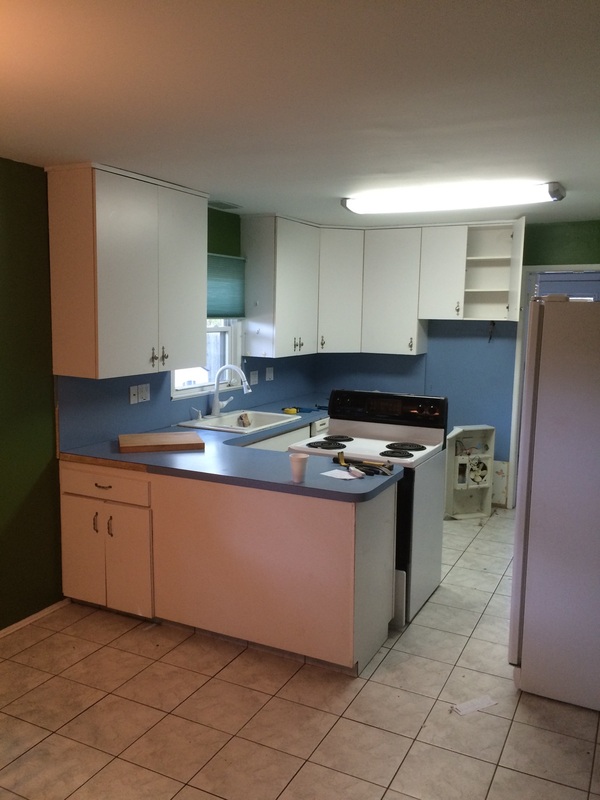 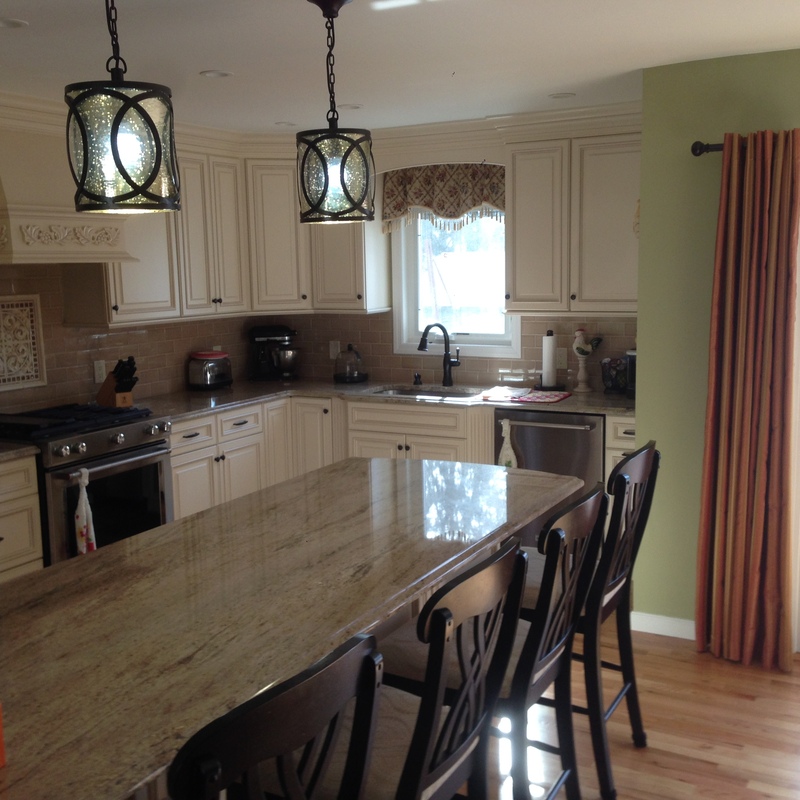 Aberdeen, NJ -- Kitchen -- KR - After Traditional, maple, raised panels doors and drawers honey stain. 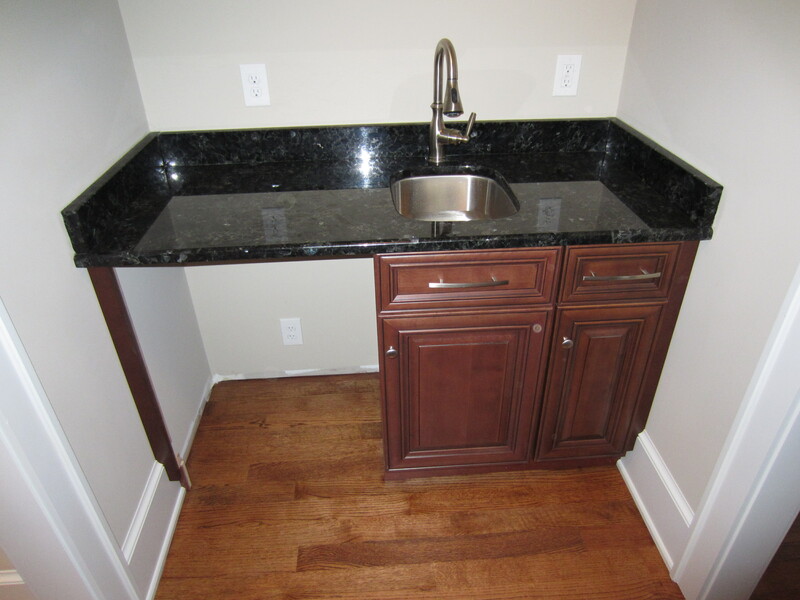 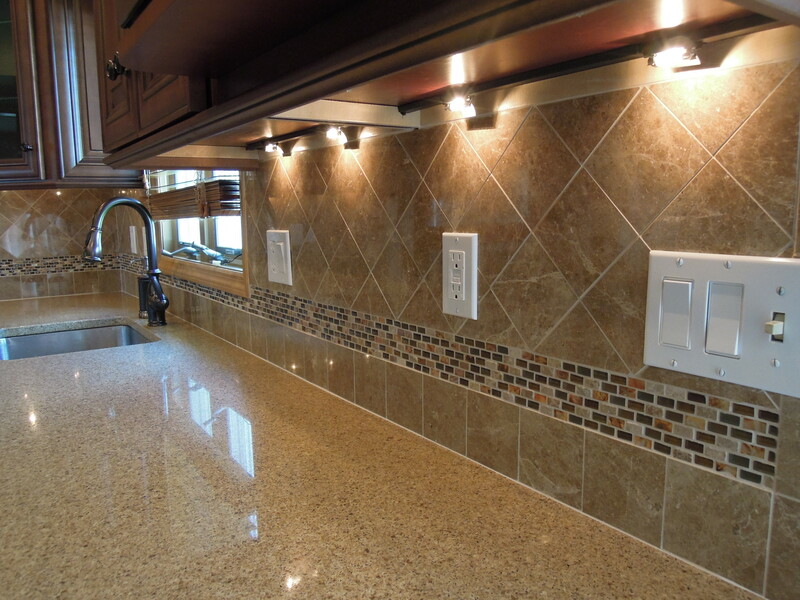 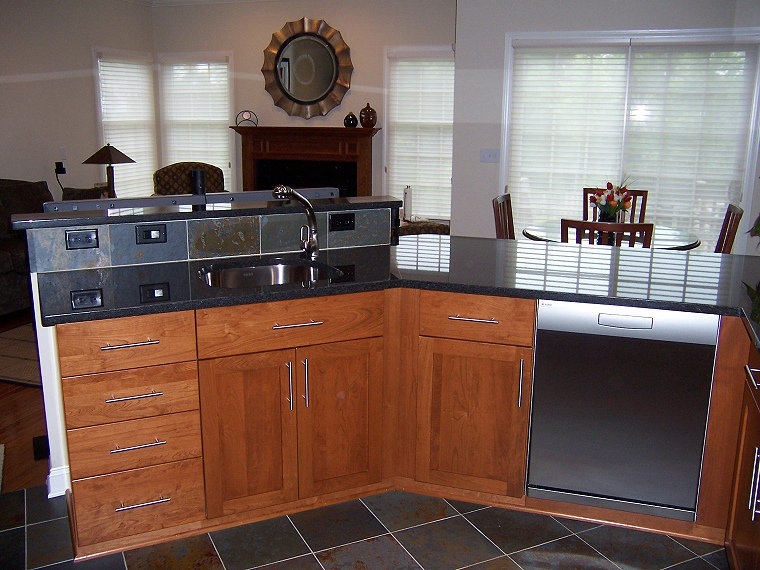 Granite counters New Caledonia. 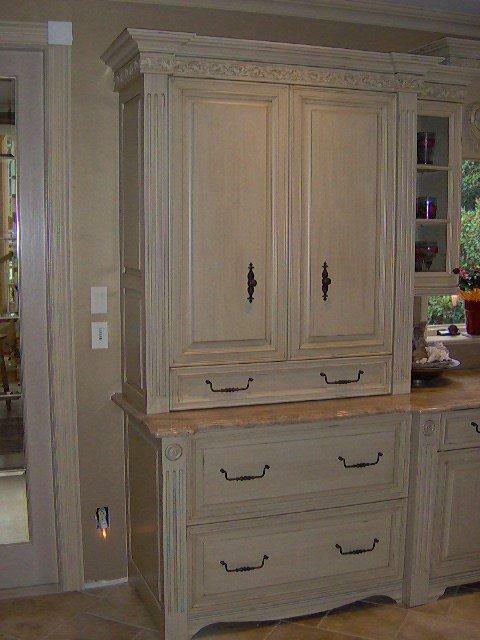 Traditional, maple, raised panels doors and drawers honey stain. 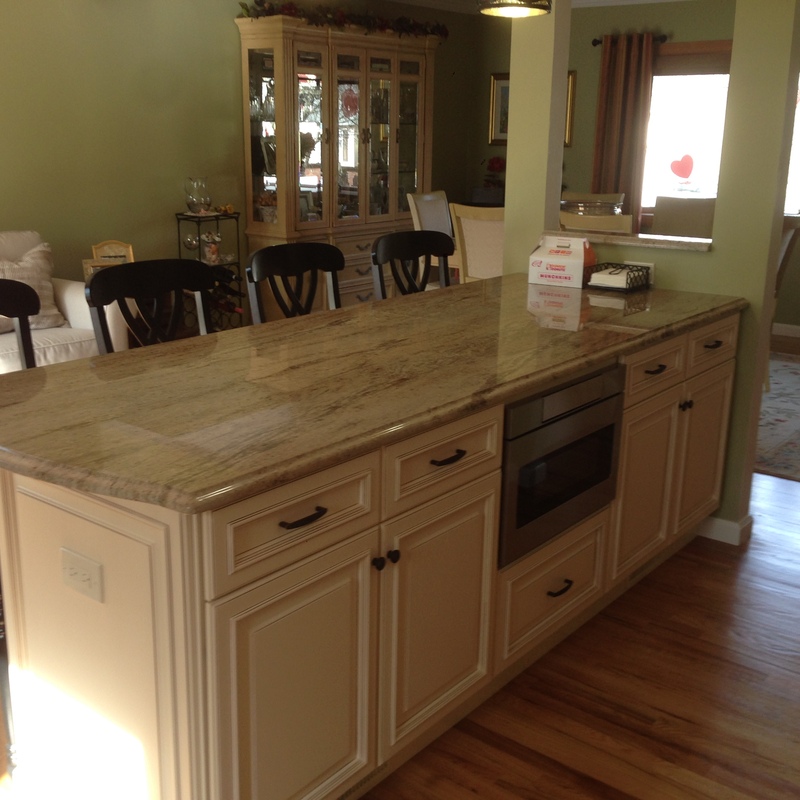 Granite counters New Caledonia. 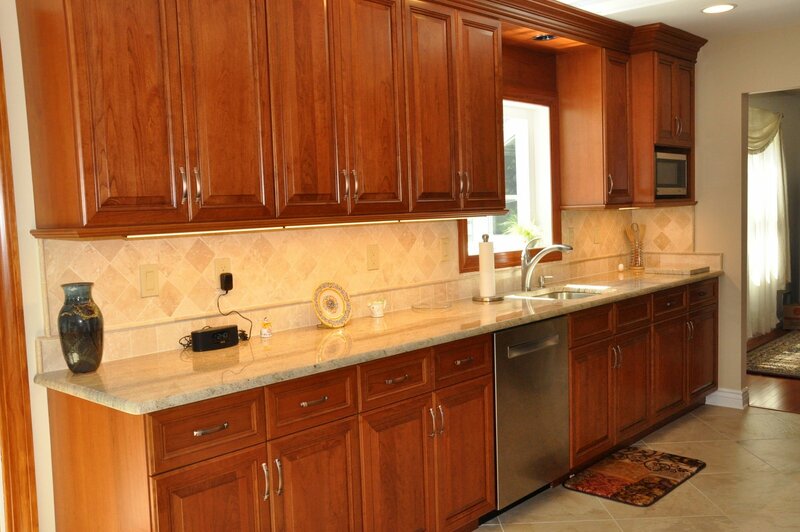 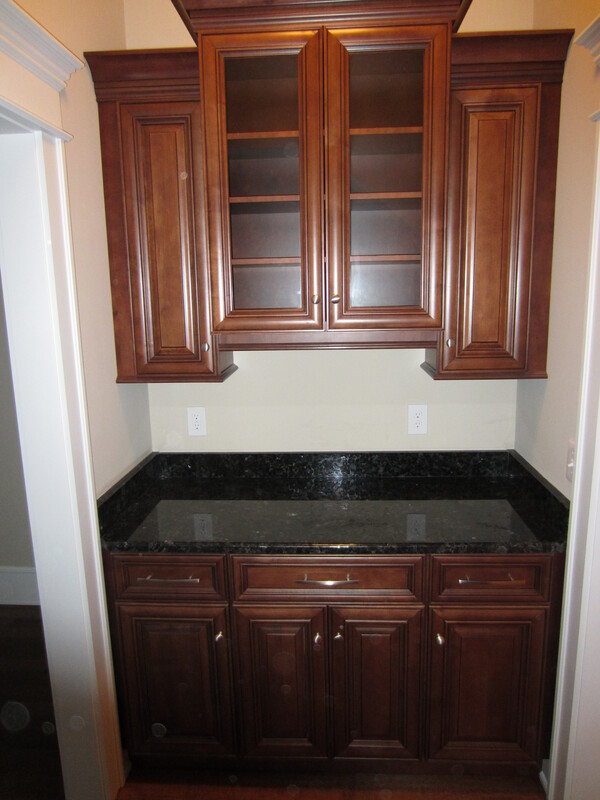 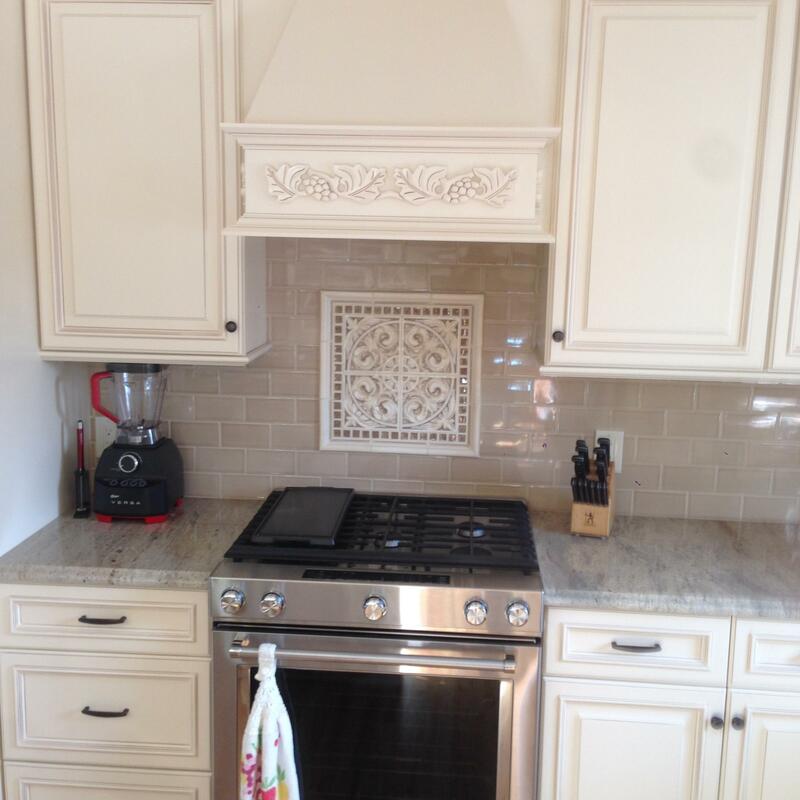 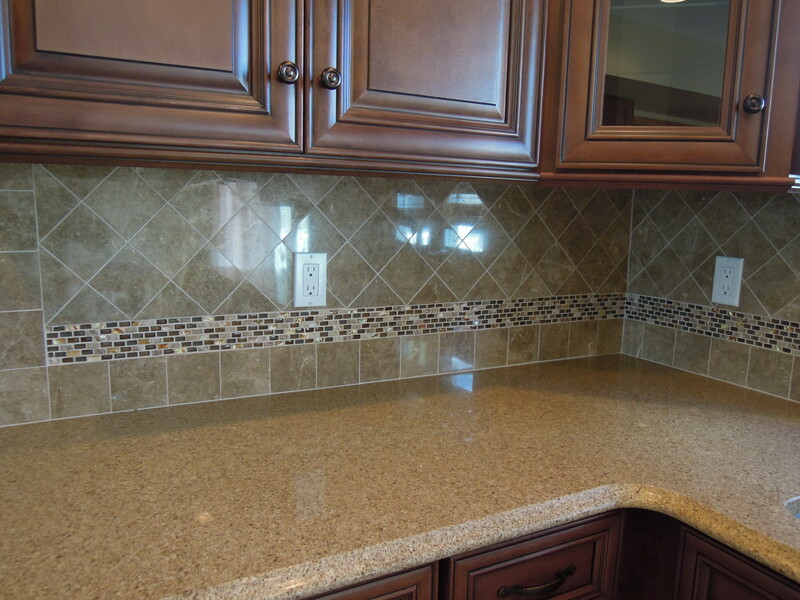 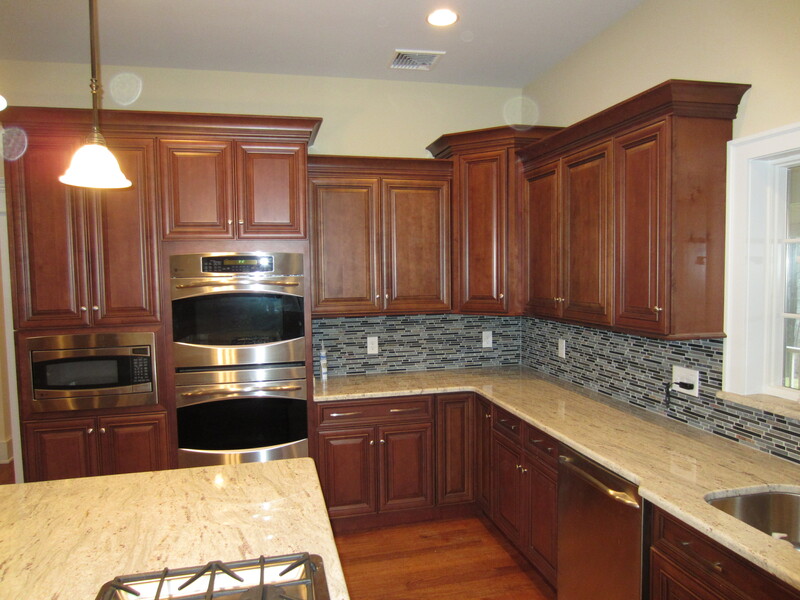 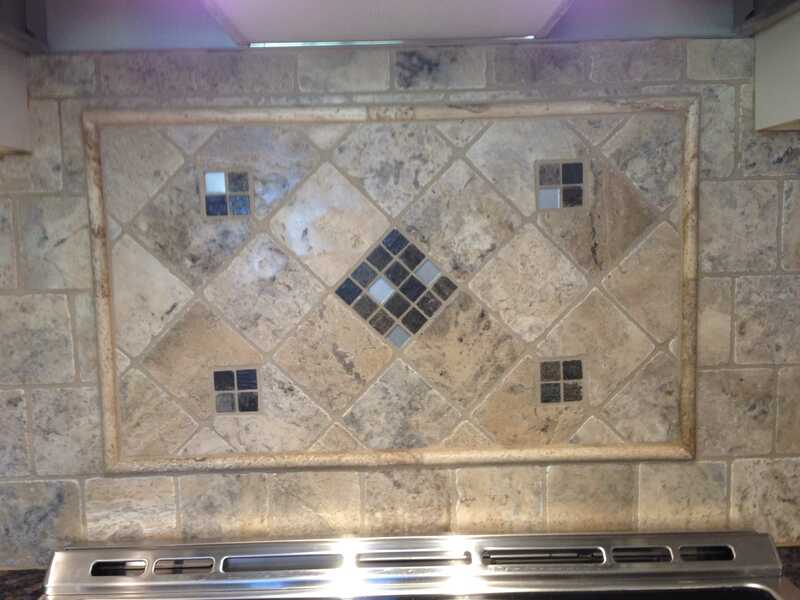 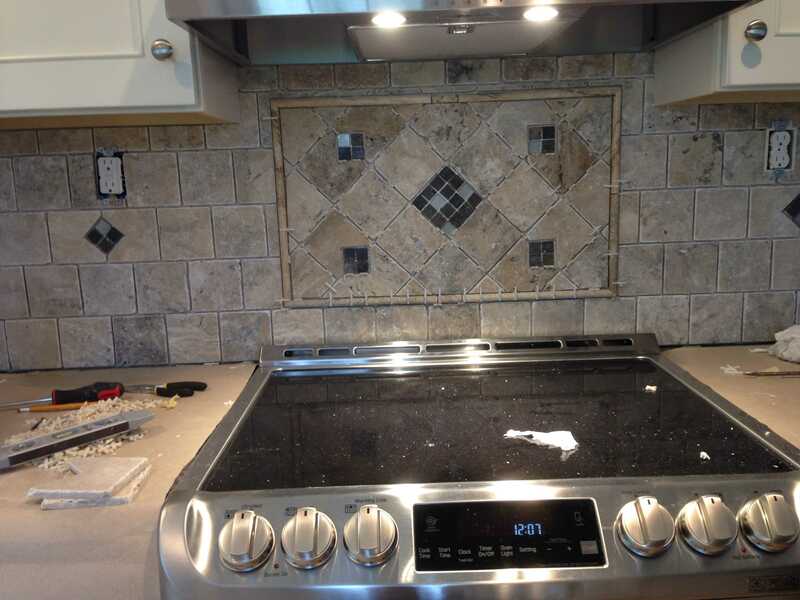 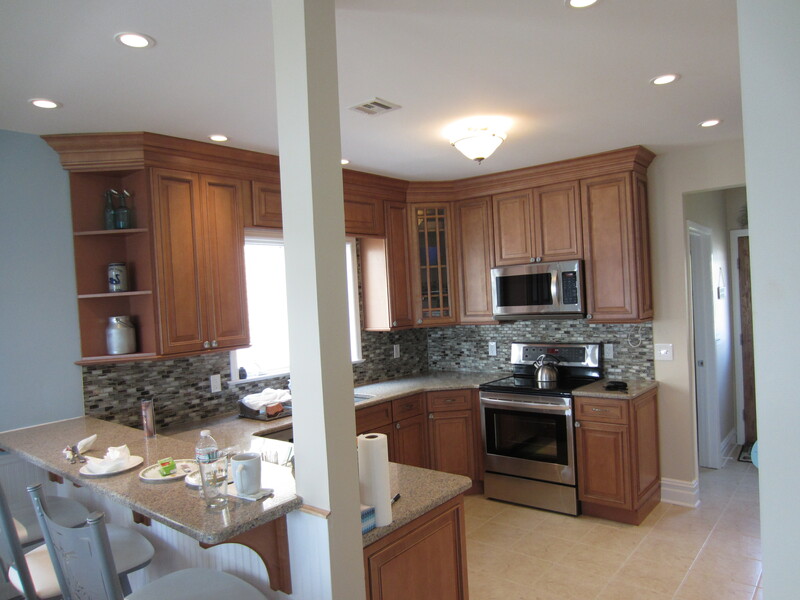 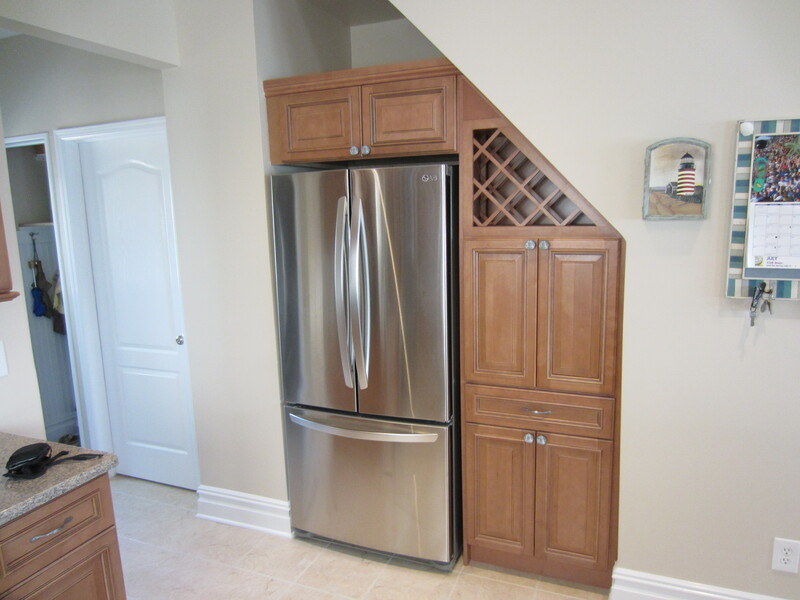 Marlboro, NJ -- LL Transitional Cherry cabinetry with honey finish, tile back splash and 20" X 20" floor tile. 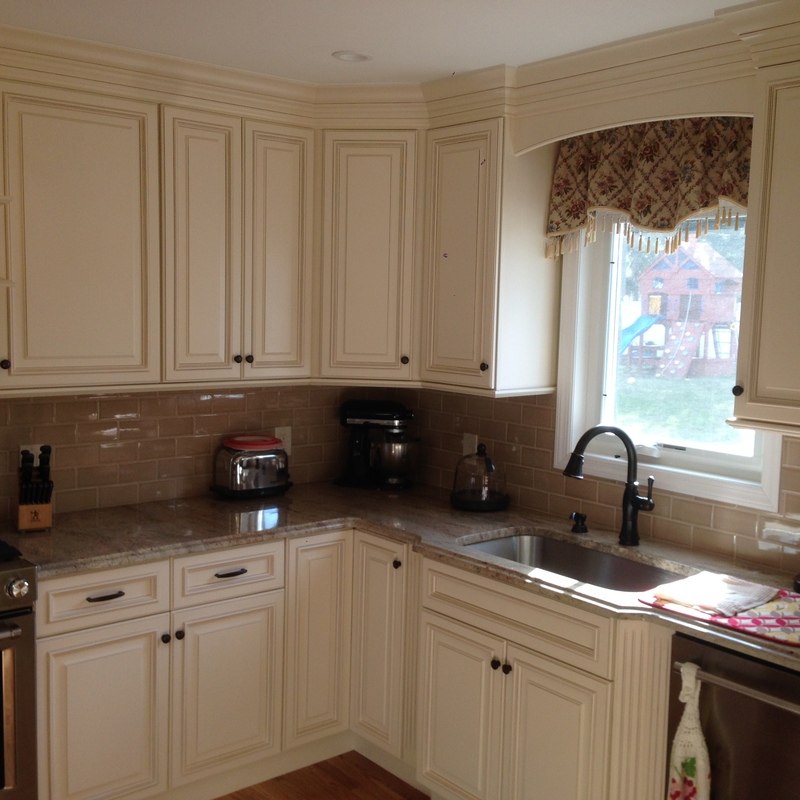 Marlboro, NJ--LL Transitional Cherry cabinetry with honey finish, tile back splash and 20" X 20" floor tile. 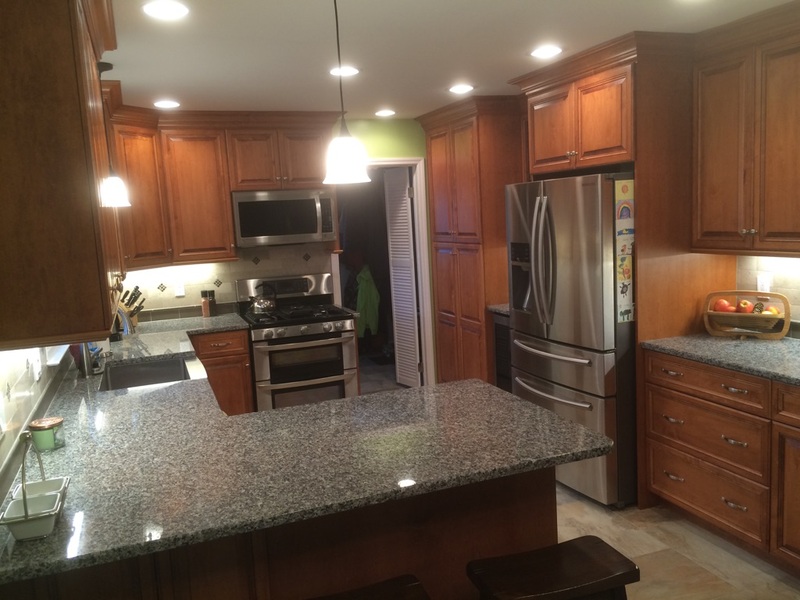 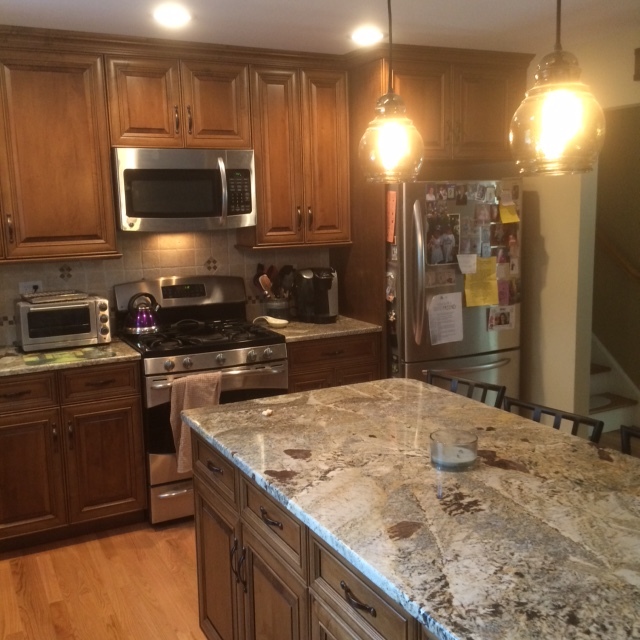 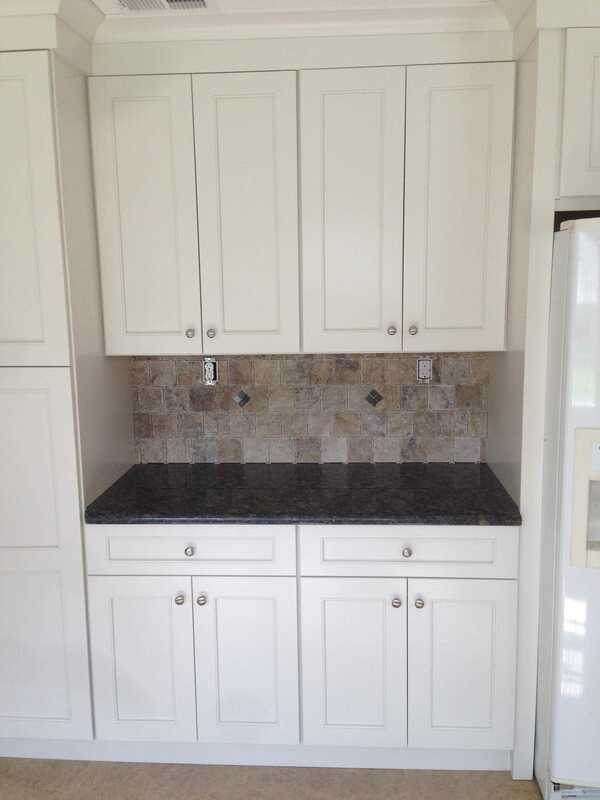 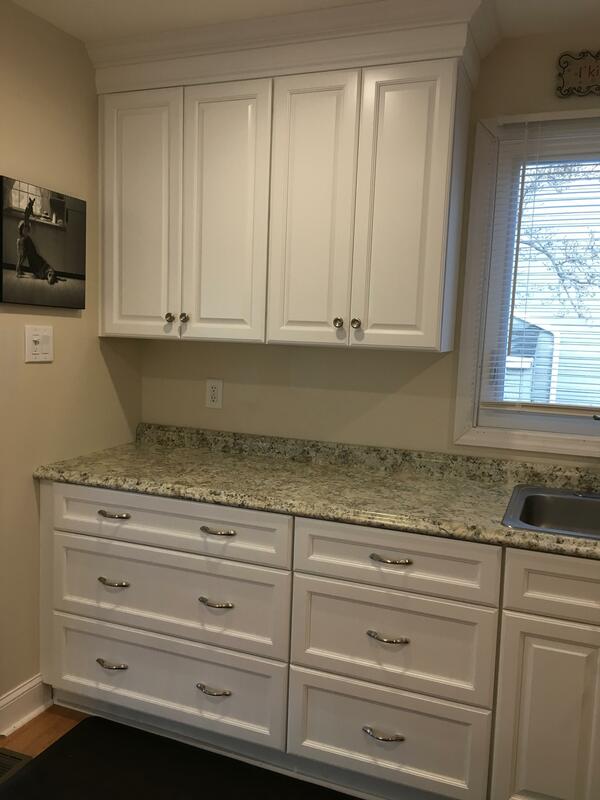 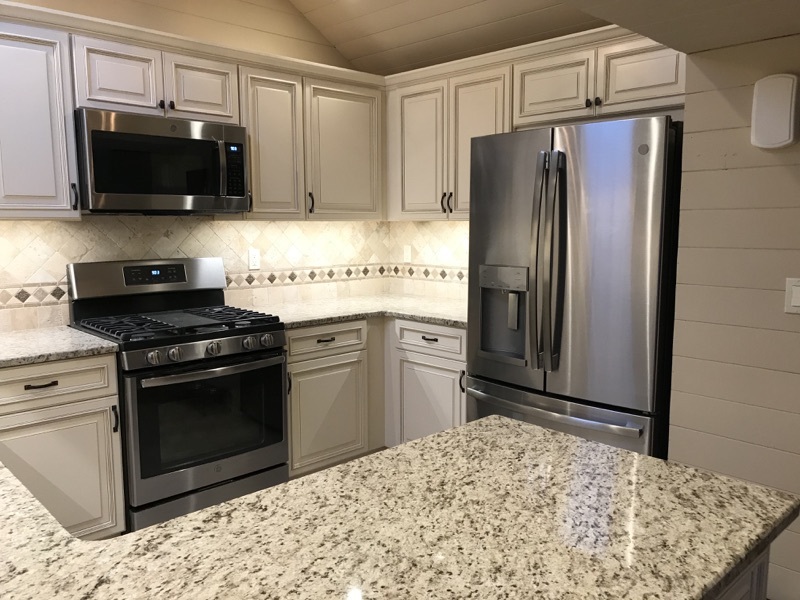 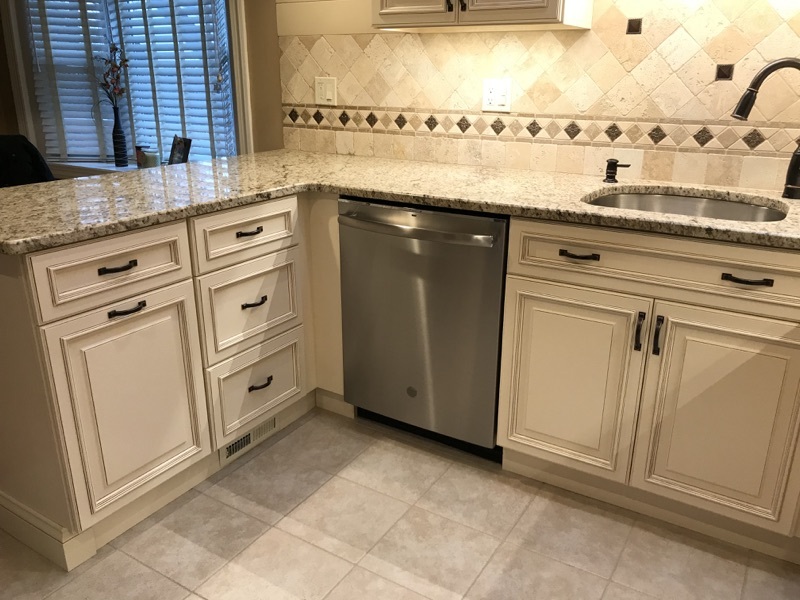 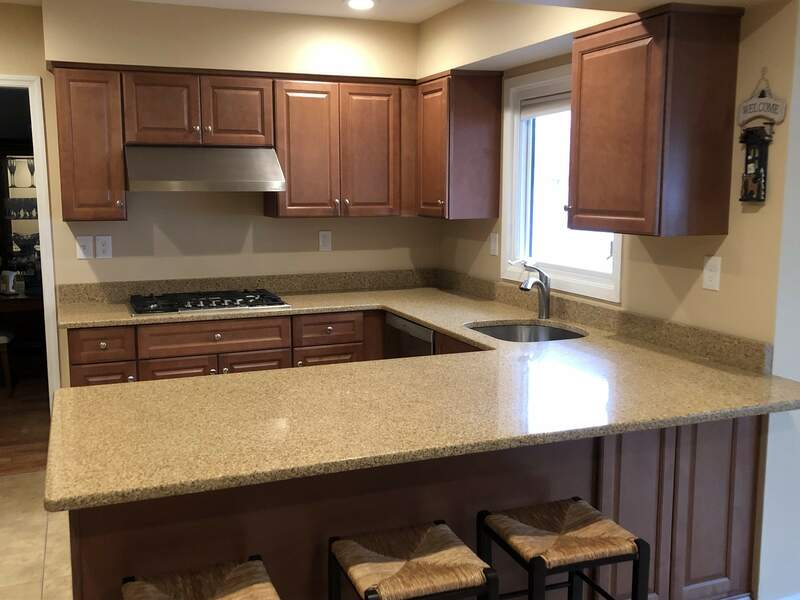 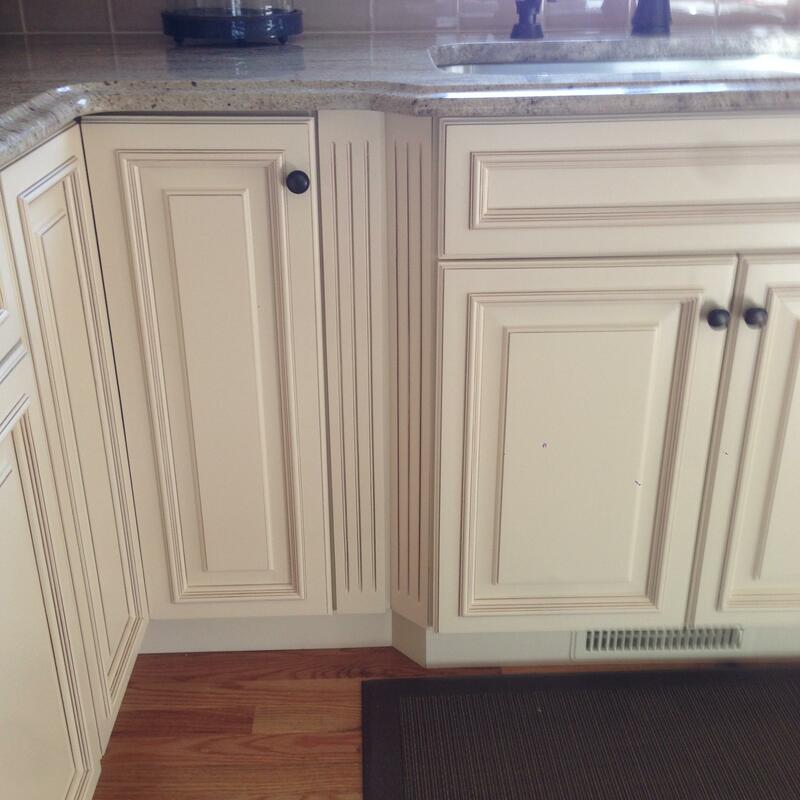 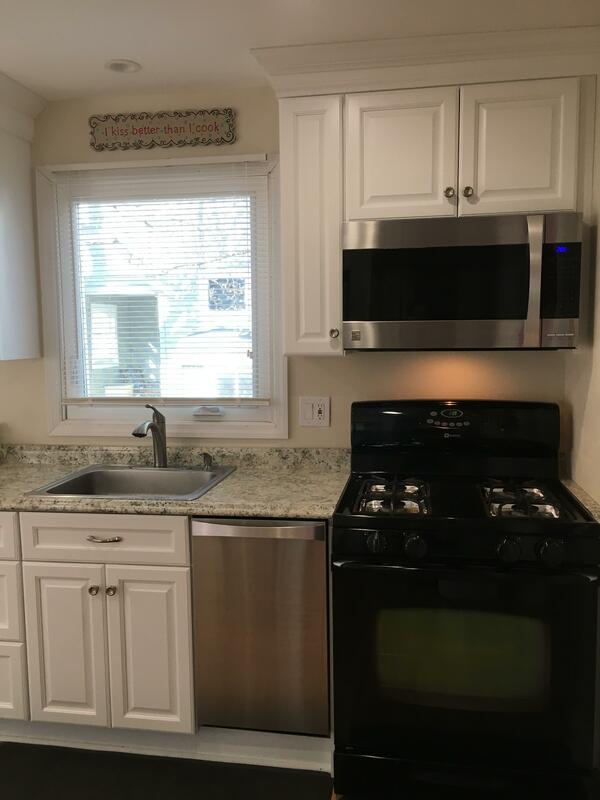 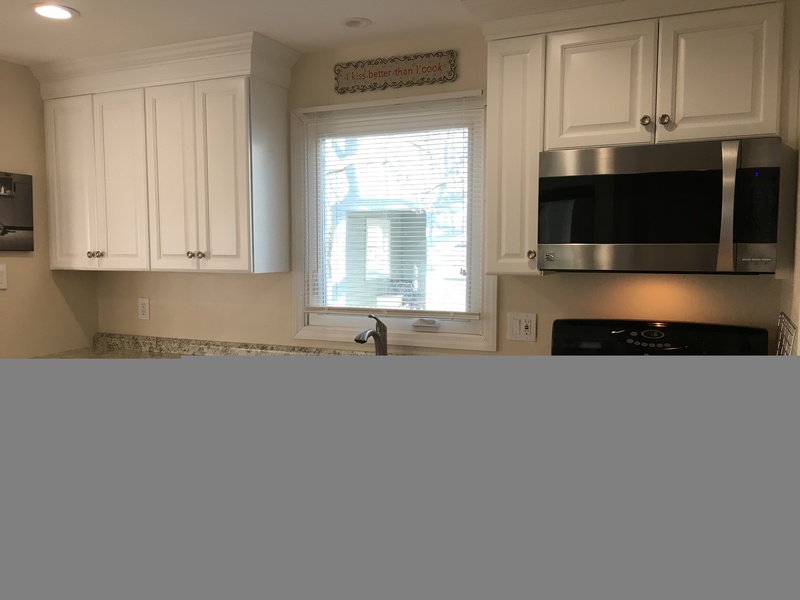 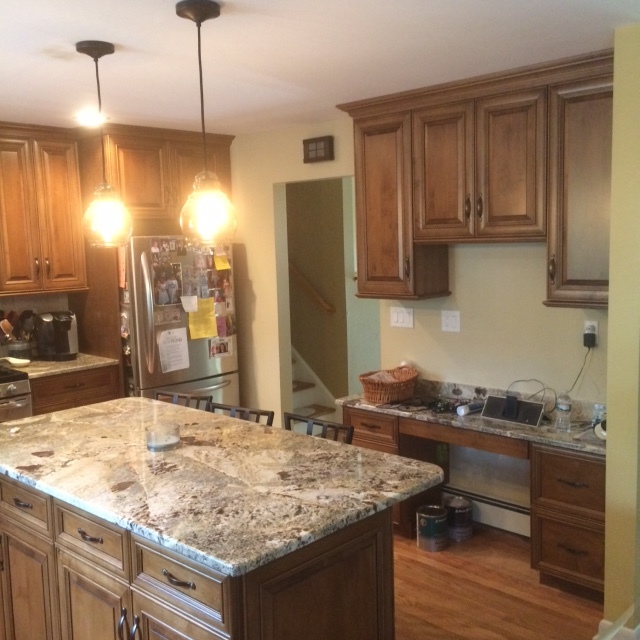 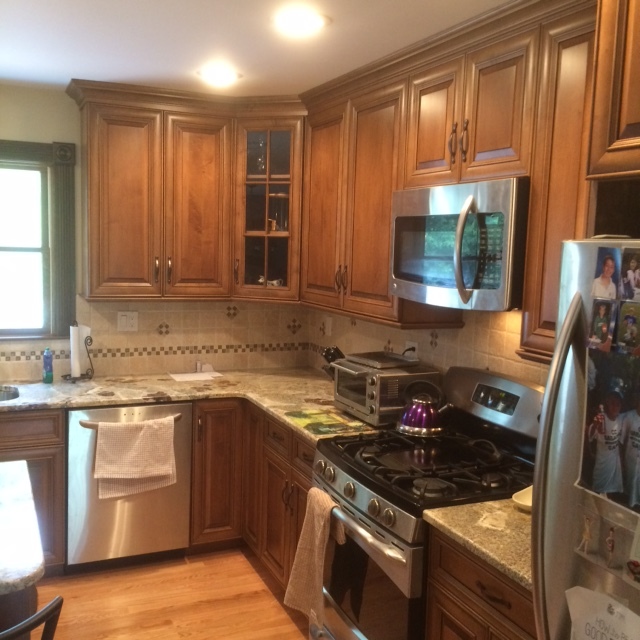 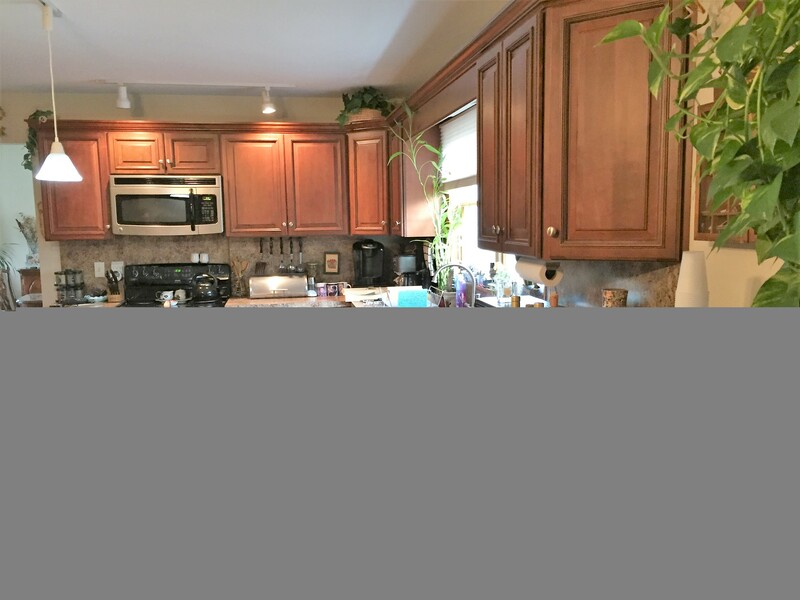 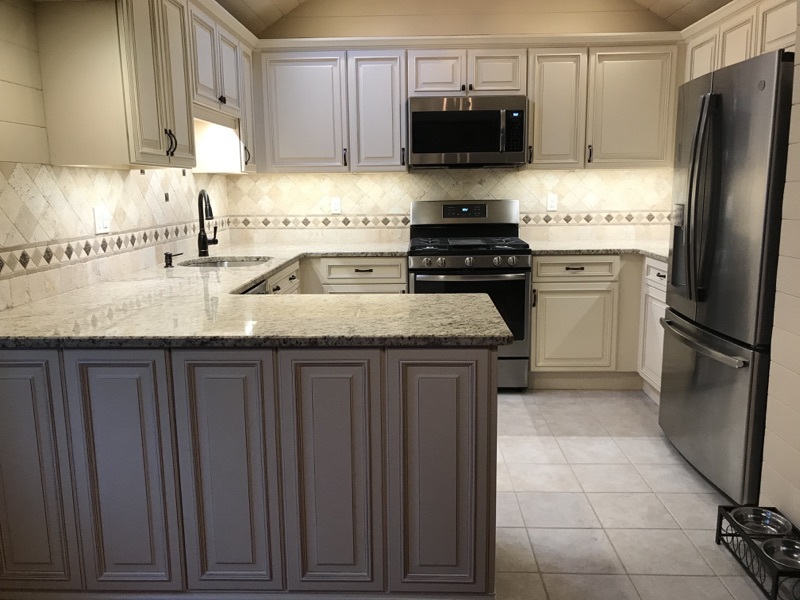 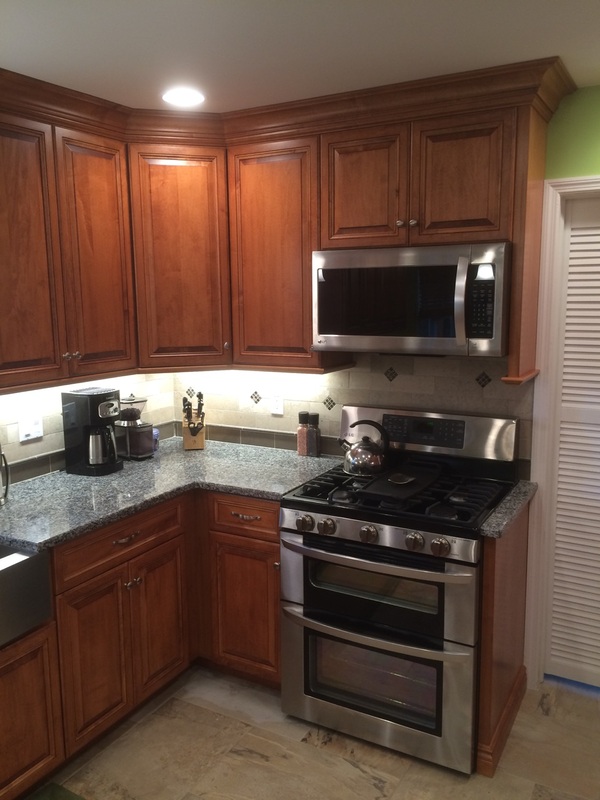 Old Bridge, New Jersey Kitchen Lower cabinets refaced to match new upper cabinets allowing present granite counters to be saved.